#ALifeInTheDayInBarbados. In my last post, we explored the natural wonder of Barbados’ Harrison’s Cave, and in this final edition, we are back on the water having some good old fashioned island fun. I am always up for hopping on a boat and taking a little trip on the waters, so when Lauren mentioned that there was a catamaran day trip, I was on it. In a similar fashion as Harrison’s Cave, we signed up for the Jammin Catamaran Cruise via our hotel activities desk, and placed our deposit. We chose the Sun Blast Cruise, with a length of 5 1/2 hours starting at 9AM, serving breakfast, lunch, unlimited rum punch, and proper Caribbean tunes. On the morning of our trip, a van greeted us at our hotel and picked up other guests along the way until we reached the dock of the catamaran. Once out of our shuttle, we paid the remainder of our package in the company’s office on the dock, and were then set to board our home for the next 5 1/2 hours, the 63 ft Jammin catamaran. The girls and I immediately found our spot on top of the net, and placed our things down for maximum sun exposure. We applied our sunscreen and proceeded to have a light breakfast of a muffin and some juice. 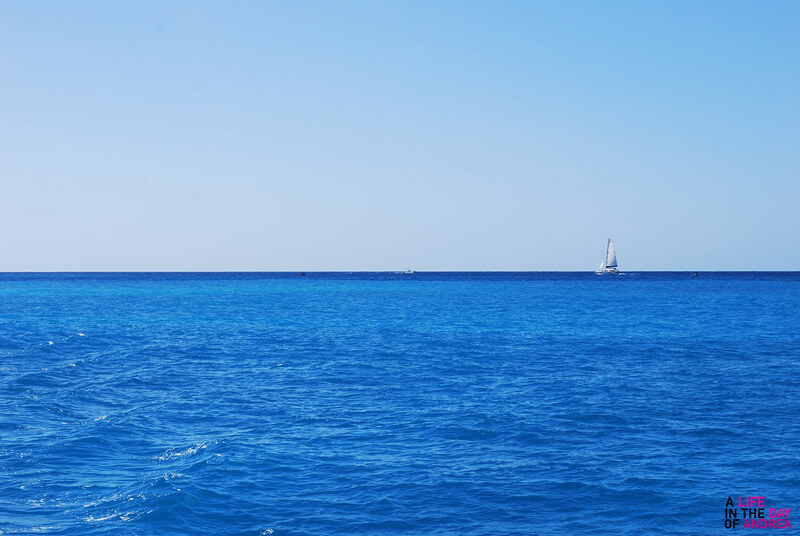 I love the sea and ocean immensely, so to be sitting on top of the catamaran with the deep blue water in perfect view was icing on the cake. We made a few stops along the way. Our first stop was snorkeling with the turtles. Unfortunately on our day, the turtles were not out in plain view, but we were guided to sites of shipwrecks in the area which was awesome to see. I kicked myself as I did not bring my GoPro to capture the underwater moments, but seeing with my bare eyes was probably more special. #ALifeInTheDayInBarbados. In my last post, I introduced you to the beautiful Rockley Beach, and shared some lovely photos romping around the seashore. I love the beach immensely, but aside from R & R, what is a vacation without a little adventure? Travel without adventure is something that I do not do. It is so exhilarating to experience natural wonders in various locales, even if it involves getting a little dirty or wet in the process. 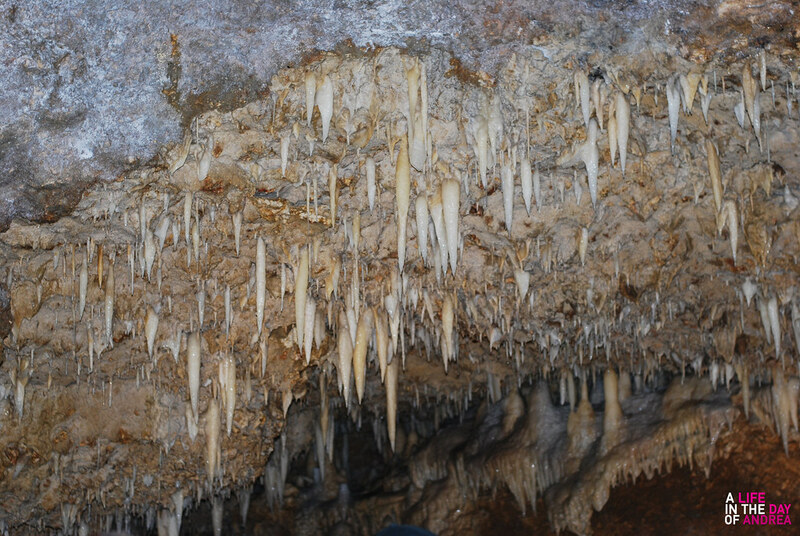 On day three of our trip, we ventured to Harrison’s Cave. Named after Thomas Harrison who was a prominent landowner in the area in the early 1700s, the cave is a limestone underground live formation in St. Thomas Parish in the heart of Barbados. I am fascinated by the natural design and history of caves, so I was really excited to partake. We had booked our outing in advance via our hotel front desk, and were all set to go with a tour guide on that bright Saturday morning. We met our van out front of our hotel at minutes after 8 AM, joined by a few other tourists, mainly families. We took an approximately 30-minute drive out to the site of Harrison’s Cave, all whilst getting a little local history of the nation of Barbados from our driver and tour guide. 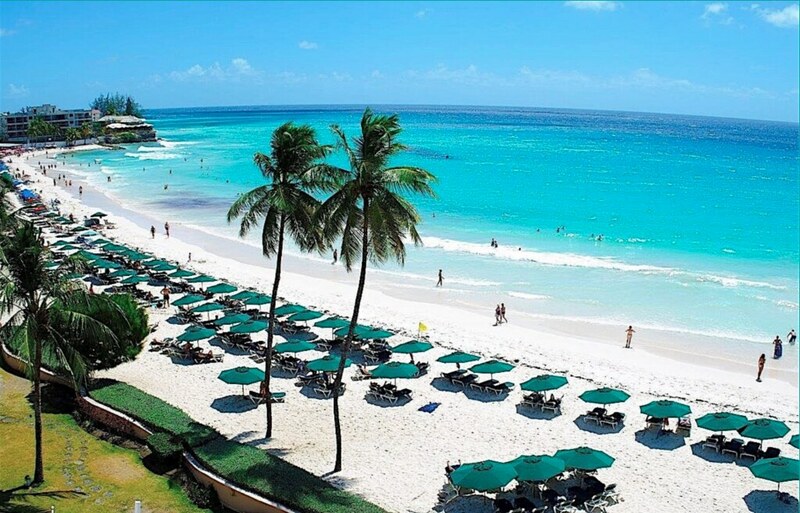 #ALifeInTheDayInBarbados: My Beach Is Better. Rockley Beach Is Better. #ALifeInTheDayInBarbados. In my first chapter, I gave you the lowdown on my travel experience, and first day on the island. Story time continues. So it’s day two and I woke up hungover and a bit ruffled. I get myself together and head down with Lauren and LeAndra to breakfast. I sit at the table slightly mute because I feel horrible. The breakfast options were only of the American sort (eggs, bacon, hash browns), most options a little too greasy for my liking. I decide to have ginger tea and ginger ale as it is a cure-all, and it definitely worked. I stormed out the restaurant to the nearest restroom to throw up. I felt super weak, so I decided to go back to the room, hydrate, nap, and get better. After a little bit of time, Lauren and LeAndra came back to find me hiding under the covers because I didn’t know how to adjust the AC (I laugh at this now because I realized the remote was right next to me the whole time). They said they wanted to go to the beach, to which I obliged. I felt a little better, and if I know anything about myself, I knew the sun, sand, and sea would make me feel better. I drank more water, changed into a new cheeky bathing suit for maximum tanning exposure, lathered on my sunscreen, and got my things together to head to the beach. 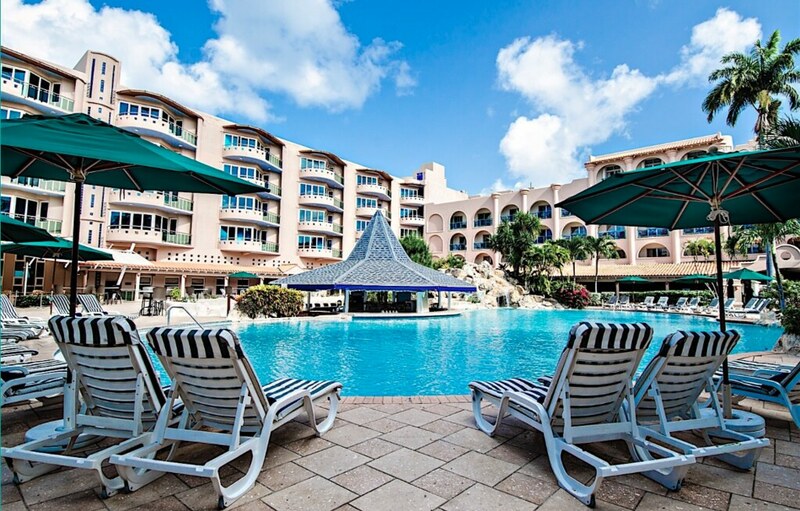 Accra Beach Hotel is situated right on Rockley Beach in the Christ Church district of Barbados, so we literally had to walk a few steps to experience paradise. Let me tell you this, Rockley Beach was one of the most beautiful, clean sand, and clear water beaches I have ever experienced in my life. 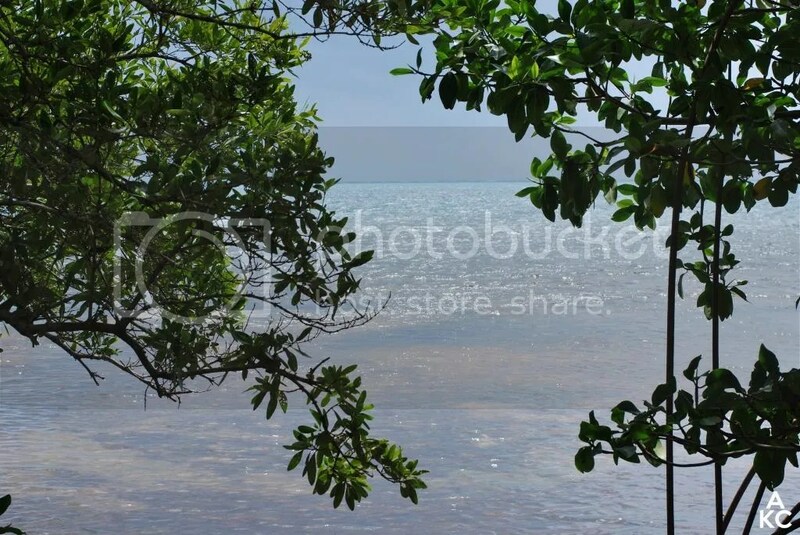 The beach is on the south coast of the island on the Caribbean Sea, offering calm turquoise waters. I was like a kid in a candy store, letting the sand sink between my toes, rushing in and out of the water. The current did get a bit strong at points, but nothing to worry about. There was hardly any rocks or seaweed, so it was easy to play around in the water barefoot without the worry of stubbing or scratching a toe. Whilst playing around in the water, we saw swimmers of all ages around, and a few folks on boogie boards and surf boards. The waves were a good size for the surfers as not far from Rockley, the Atlantic Ocean and Caribbean Sea merge. Because of this, I can say that my bathing suit shifted a bunch of times, but I was in the water, so no flashing! #ALifeInTheDayInBarbados: Shout Out to CARICOM & Rum Punch! Travel for me serves so many purposes. For one, it is to get away, to break the monotony that can be everyday life in NYC. On the other hand, it can be a search for what is the same, for what feels familiar, and like home. 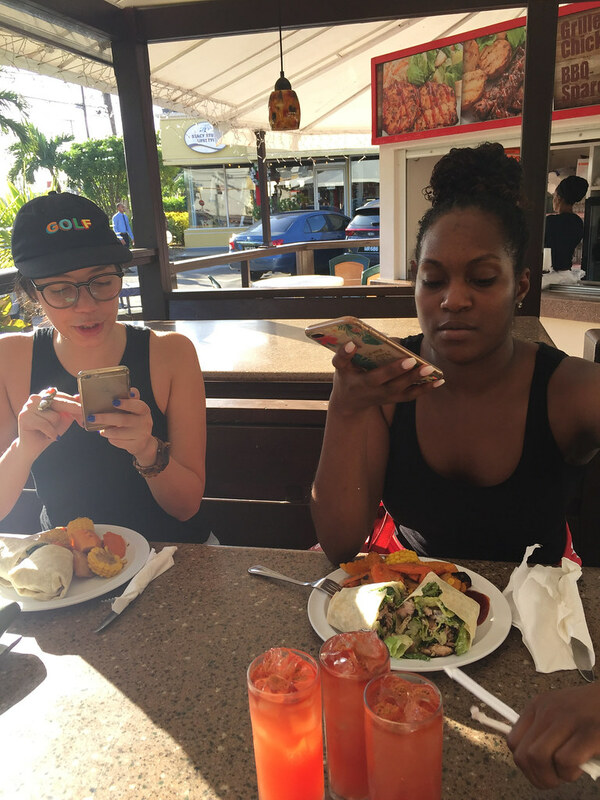 In the beginning of December, I went on a tropical escape to Barbados with my cousin Lauren for her 30th birthday along with her lifelong friend LeAndra. 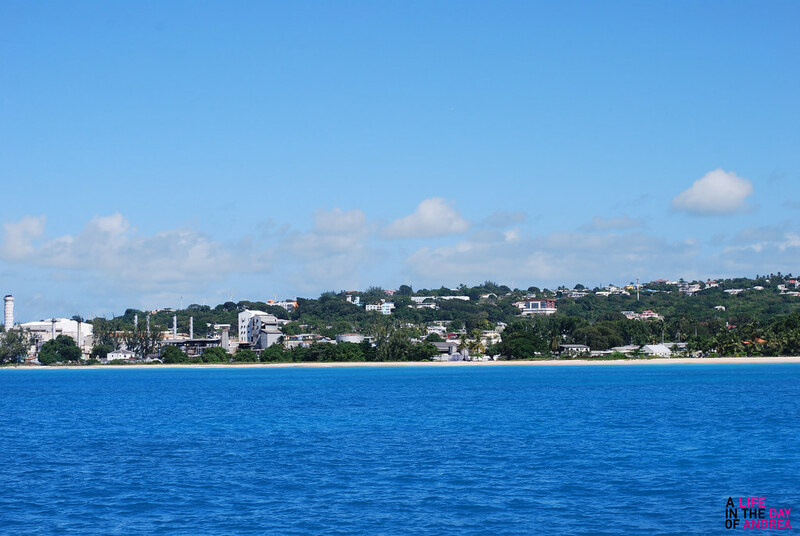 I was extremely excited to go Barbados, as I had never been, and it was my first Caribbean (CARICOM) nation outside of Belize that I visited. 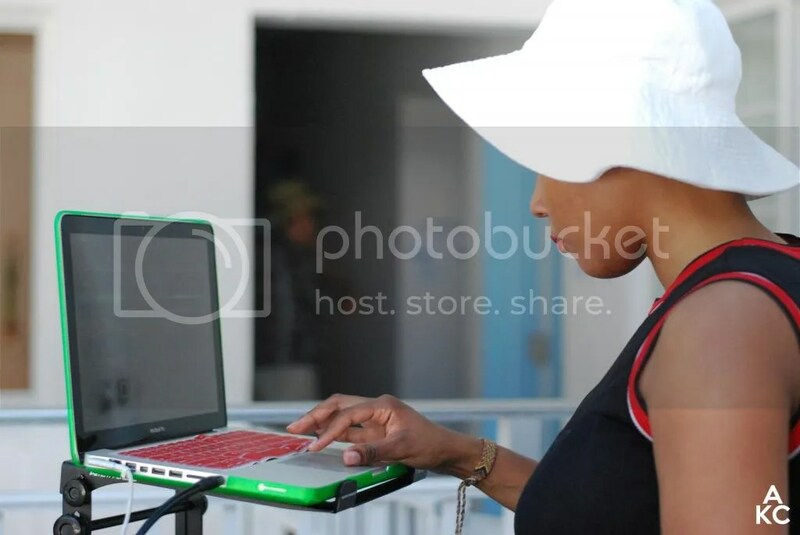 I usually do a lot of research for new travel destinations, but I knew Lauren had it handled as she consulted co-workers and friends of Barbadian/Bajan descent. It was different for me, and a bit of travel anxiety lifted from my plate as I did not have to plan our trip day-to-day. We had a non-stop Jet Blue flight from JFK to Bridgetown, the capital of the country, and arrived in the early afternoon. Barbados is on Atlantic Standard Time (AST), so we were an hour ahead of Eastern Standard Time (EST). Upon landing and walking down the stairs to the ground with the sun beaming on my face, I immediately felt at home. The airport was small and reminiscent of Philip Goldson International Airport in Belize City, and I was so excited to flash my Belize passport on arrival. Belize and Barbados are members of CARICOM, the Caribbean Community, and with a CARICOM passport, travelers are able to wait on a shorter line and stay for longer periods of time in Caribbean nations sans visa. When it comes to traveling the cities, states, and countries on our vast planet, many do so for a multitude of reasons. You may travel to escape your reality at home. To become inspired. To learn something new. Or simply, to just see how a different community lives. I travel for all of these reasons, and often times find myself in the most fulfilling experiences abroad when they are not planned. This happened to me just recently when I visited Las Vegas. A group of ten family members, from both my generation and my parents’ generation, hopped on a plane to Sin City to celebrate a milestone birthday of one of our cousins. Plans were not solid in regards to what activities we would partake in whilst there, and for those that know me, no plans or general ideas of plans can give me a bit anxiety. I am all about maximizing my time when I visit different places. So we do the Vegas thing, right? Walk the strip, eat LOTS of food (that at points did not agree with our stomachs), find the best deals on those ridiculous giant frozen alcoholic cocktails you can drink in the street and consume them, catch a live show, breeze through the casinos, and get a little shopping in. We skipped the nightlife bit as my cousins Lauren, Ashley, and I were a bit jetlagged from the three-hour time difference, but we were able to hop on the High Roller, the worlds tallest observation wheel which soars 550 ft above the City of Las Vegas. 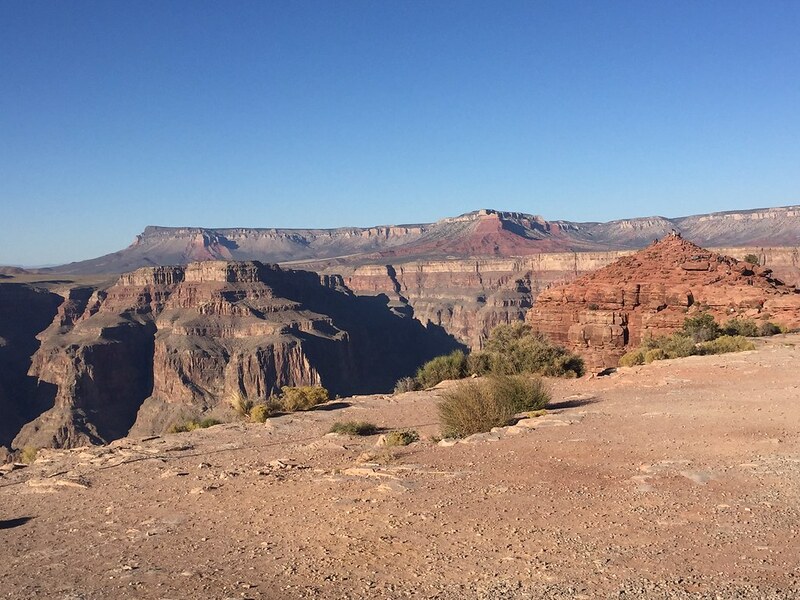 On our last full day in Vegas, we took a little road trip to the Grand Canyon West. 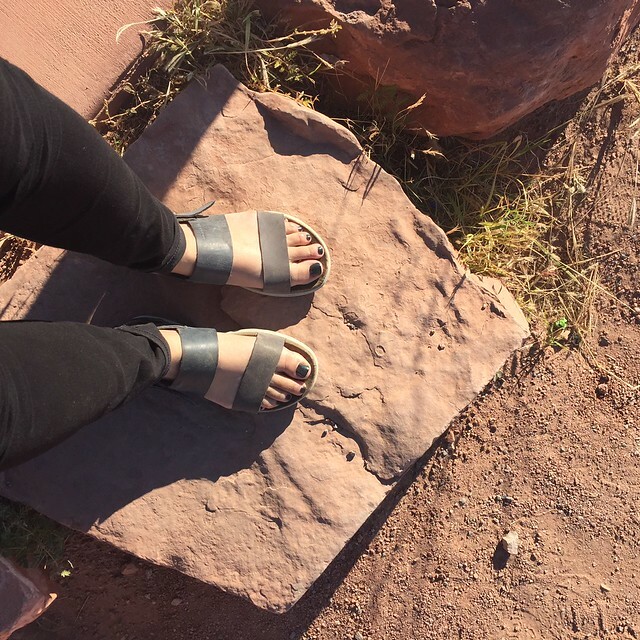 I had never been, and was super-excited to hit the road and get into nature. 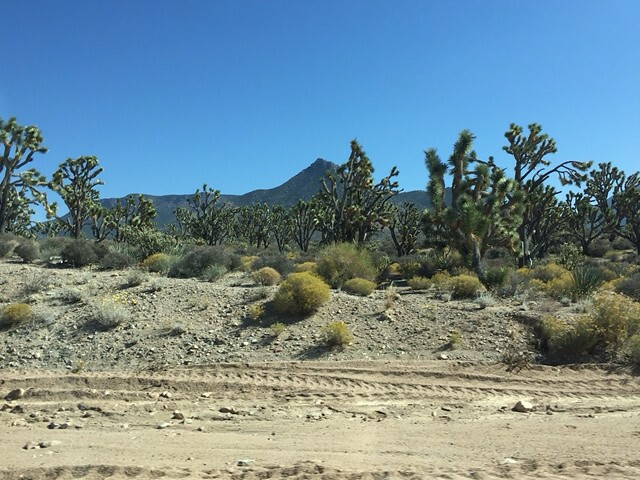 I love the topography of the desert as much as I love tropical zones, so viewing tons of mountains and Joshua Trees along the way was great for me. The total drive was just about two hours to the site, which is in Peach Springs, Arizona, on the Hualapai Indian Reservation. Grand Canyon West is not located in the Grand Canyon National Park. 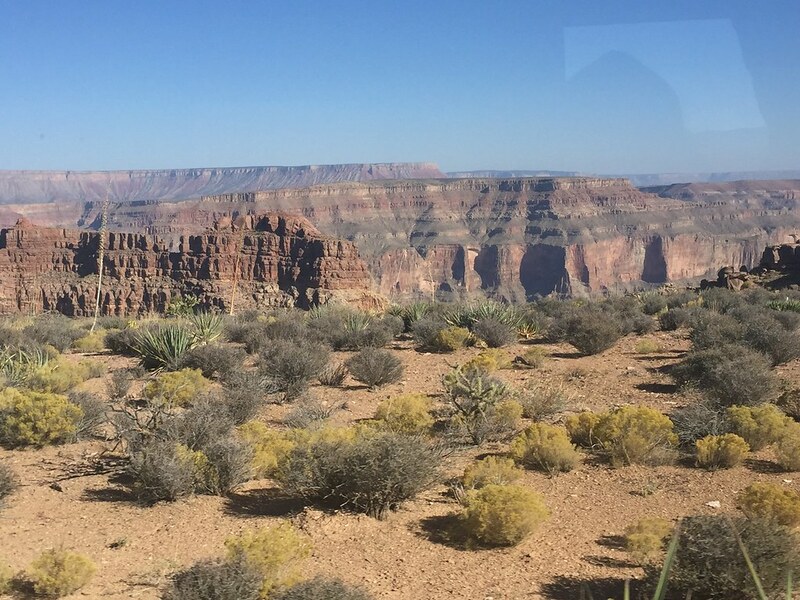 The native Hualapai people run and manage all tours and vending on site, which was very important to me. Once we arrived on the grounds, we noticed a chill in the air, despite the weather reading over 80 degrees. We parked the car and took a little walk to the Visitor’s Center. Lauren and I were unprepared for the chillier weather (Ashley’s a thug and was fine in her tank top), so our first stop once inside was to purchase sweatshirts to wear during our little excursion. 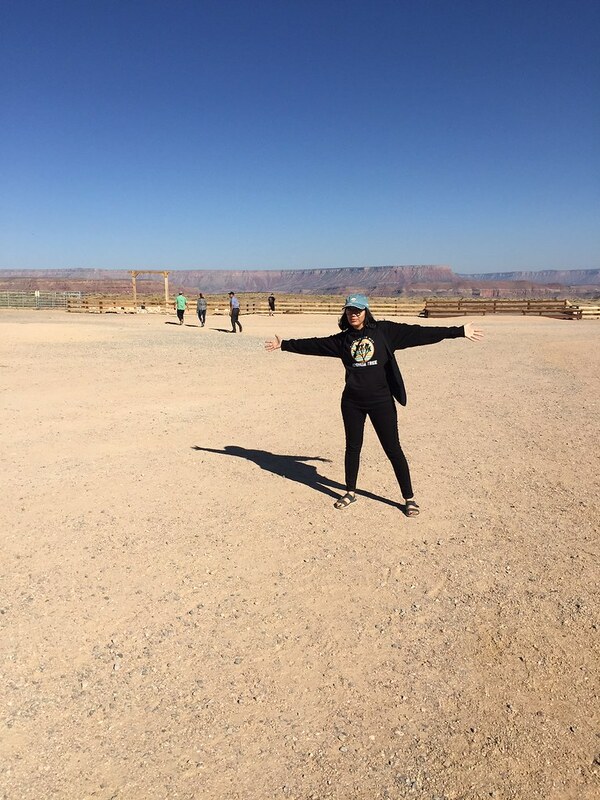 I found this cool Grand Canyon West, Joshua Tree sweatshirt (seen below), and of course Lauren copied me, because that’s what cousins do, right? Writing about my travels is one of my favorite topics to cover on A Life In The Day of Andrea as I always include the photos I shoot whilst abroad. I must admit, I have not been very inspired lately in the realm of photography, and I knew that another trip with family to Belize would solve it. For ten days in August, I visited Belize with my parents, making it my eighth trip to the motherland. I brought my computer, but for the first time ever, I did not turn it on, and really took my time in the country as a serious vacation. We had not made any concrete plans, but knew we would stay in Belize City for a bit of time, and venture south to Dangriga, where my mother’s cousin Sherry and her husband Warren live. For me, the spontaneous trips are some of the best. 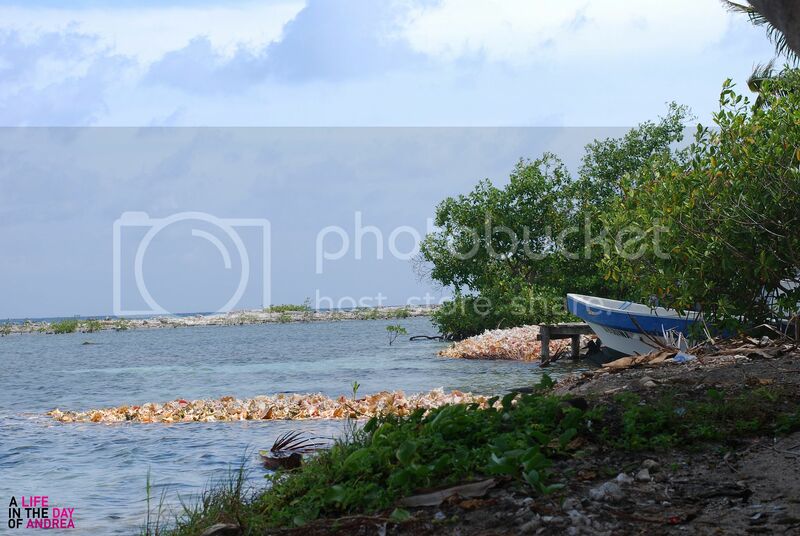 Whilst in Dangriga, enjoying nature and sipping on the freshest of coconut water, we were able to set up a day trip to Tobacco Caye with family friends; one who chartered a boat (as that is the only way to get there), and one who owned a property on the caye. My parents and I had never been to the caye, so for me, it was something new and exciting for us all to experience together. 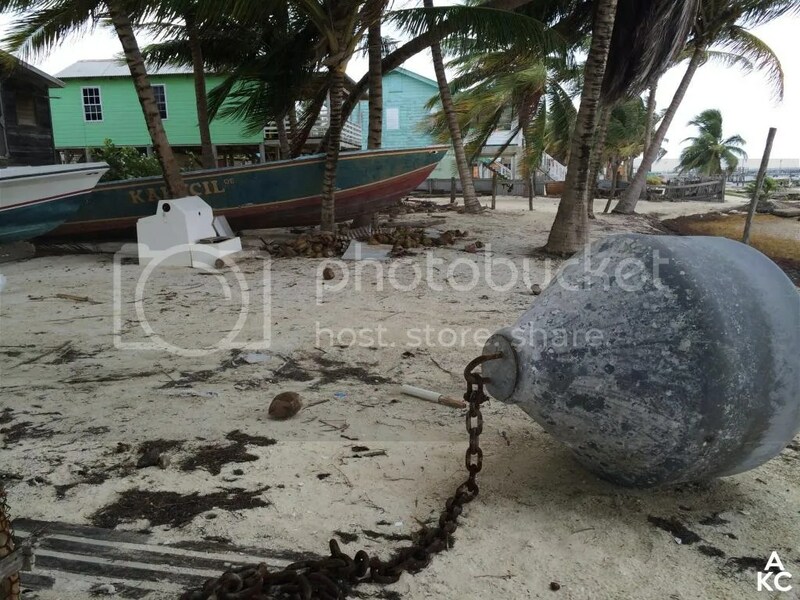 Belize as a nation was hit pretty badly by Hurricane Earl in early August, and its path was seen throughout the city and towns, with a plethora of debris, damaged docks, and structural damage to houses and buildings. Despite this, the people remained resilient, carrying on daily life and working through the destruction. 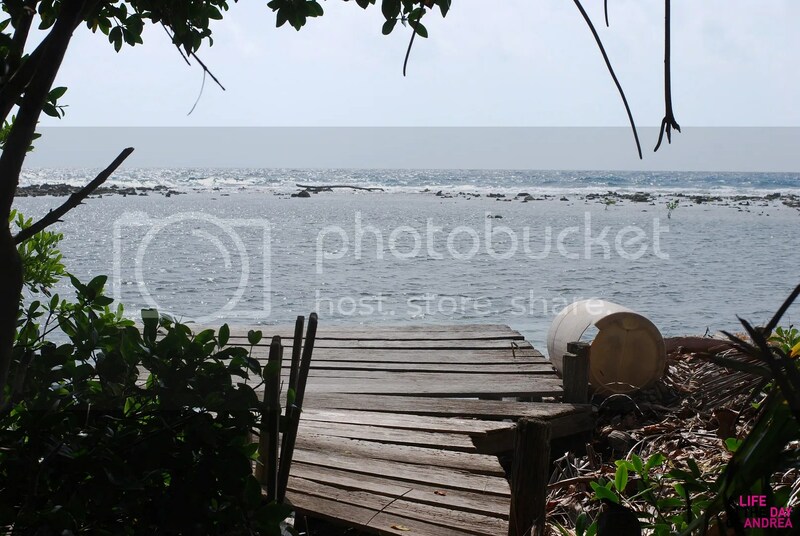 At Tobacco Caye, Earl was present, mainly in the damaged docks, but aside from this, it was quite peaceful. 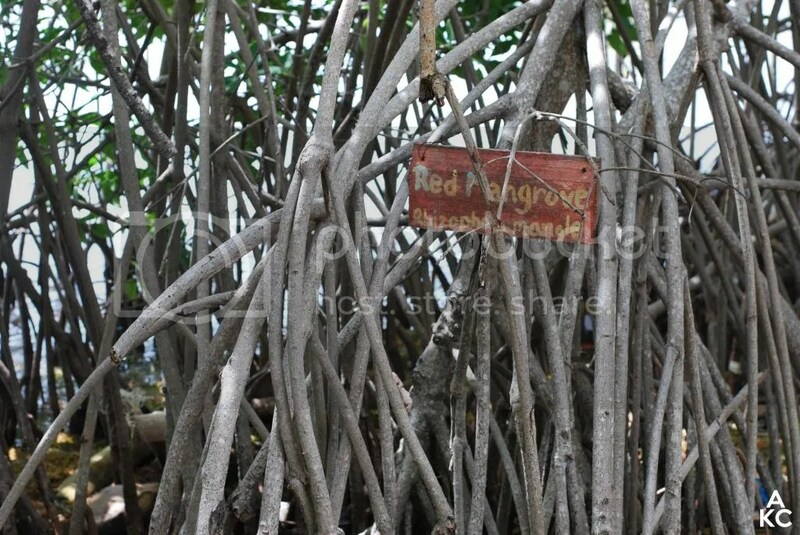 Unlike larger caye destinations like Ambergris Caye where San Pedro is, and Caye Caulker, Tobacco Caye is tiny; stretching approximately three acres in the protected waters of the South Water Caye Marine Reserve which is a part of the Belize Barrier Reef. We took the approximately 10 mile boat trip from Dangriga to Tobacco Caye in a group of eight family members and friends. As it was a day trip, we brought all of our provisions to make a proper Belizean breakfast, juices and coffee included, as well as lunch. 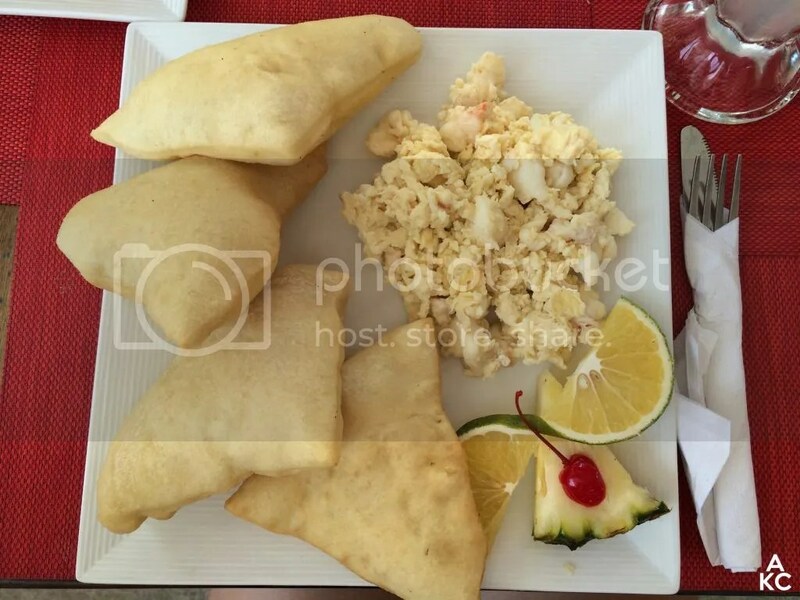 A standard Belizean breakfast consists of fried jacks (a fried bread similar to bake in Trinidad) with a side of guava jelly, refried beans, scrambled eggs, juice and coffee. 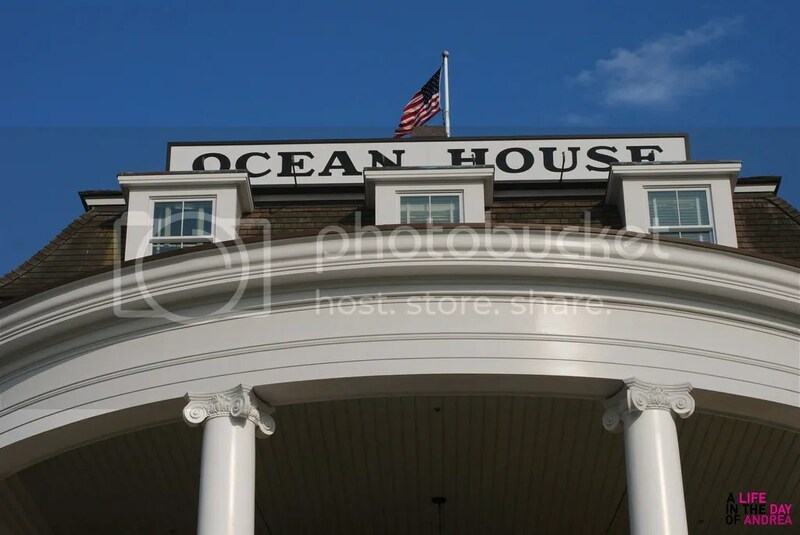 When in Rhode Island, there are many places that one must visit, and one architectural gem that is a must-see is Ocean House. 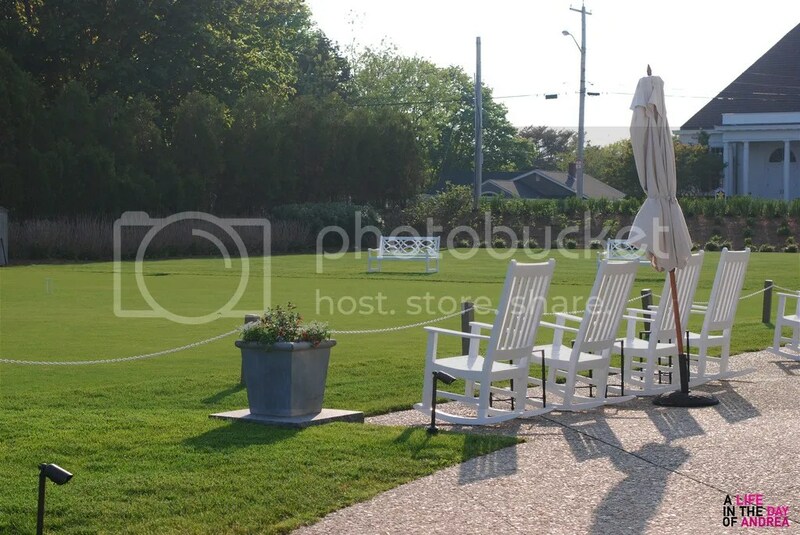 To continue my #ALifeInTheDayInRhodeIsland series, I had the pleasure of visiting the grounds of the hotel on my press trip for bloggers to South County, RI. 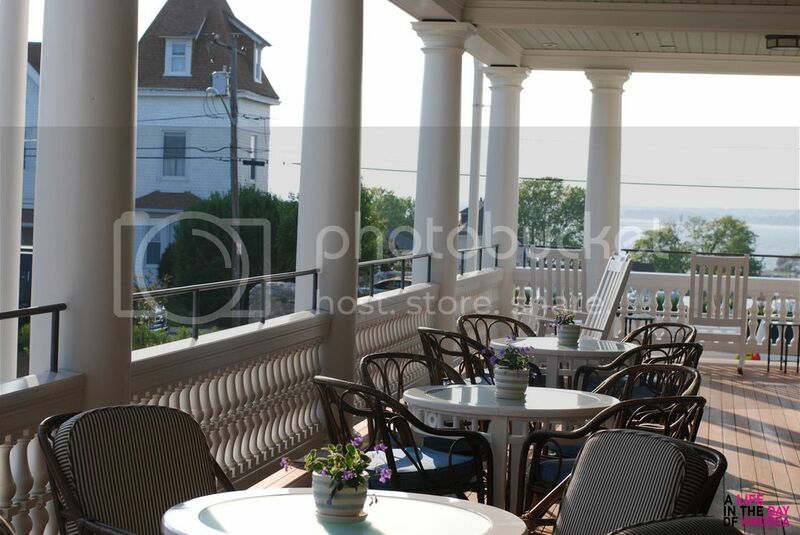 Located in Watch Hill, Ocean House is a historic independent hotel along the coast, originally opened in 1868 right after the Civil War. Boasting a signature yellow facade in the Victorian architectural style, the hotel welcomed guests for 135 years, closing in 2003 when its state was beyond repair. In 2004 a new structure was born which replicated the original exterior, and required a full demolition of the original structure. Ocean House as we know it presently opened to the public in 2010. The immaculate attention to detail is seen in every nook and cranny of the space. Take the fireplace above, for example. 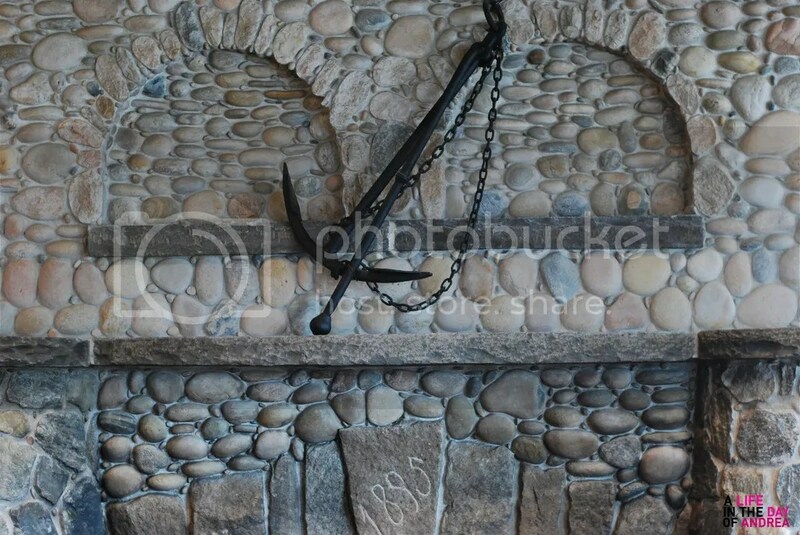 Prior to demolition, the stones of the original fireplace were saved for the new structure. As you see it, every single stone was reset to mirror the original design, from 1895. 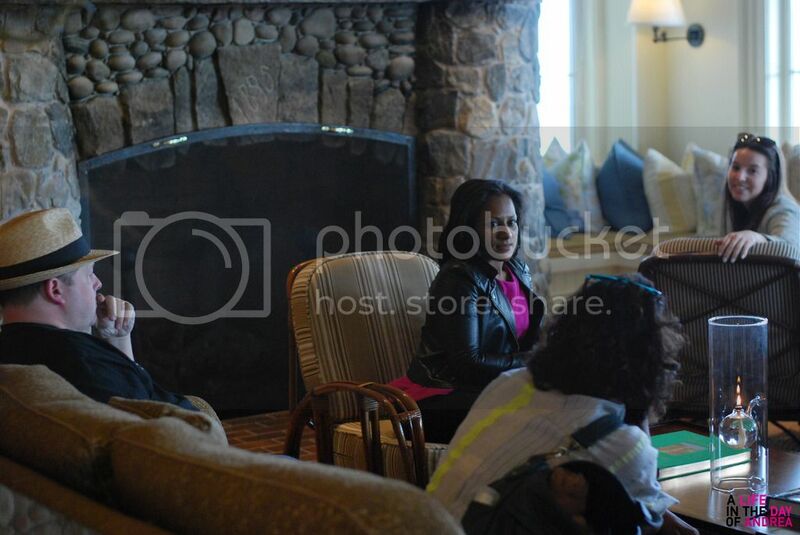 We took a load off in the Living Room area in front of the fireplace to re-energize with caffeinated beverages & water after our substantial lunch at Matunuck Oyster Bar before we began our tour. The space was perfectly cozy, filled with tons of couches and cushioned chairs, throw pillows, and coffee table books and magazines to peruse for your leisure. Our guide arrived back and we started our tour of the expansive grounds at the hotel’s famed restaurant, Seasons. Divided into two unique spaces, we began our tour in The Bistro of Seasons, which features a more relaxed dining environment with teal leather stools surrounding the sit-down bar area, and a mix of tufted leather and rattan seating throughout for larger parties. 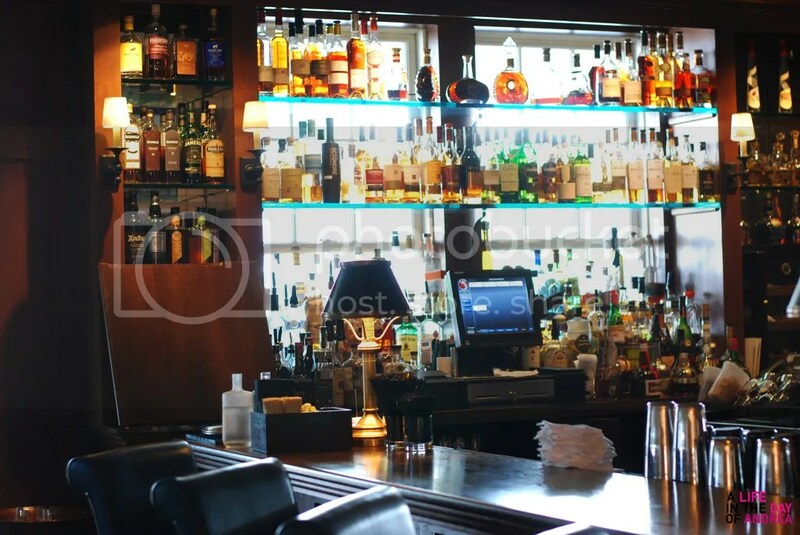 The bar is fully stocked with a plethora of wine and spirits offerings, for whatever you may fancy. In our walk back, we came across the open kitchen for Seasons. 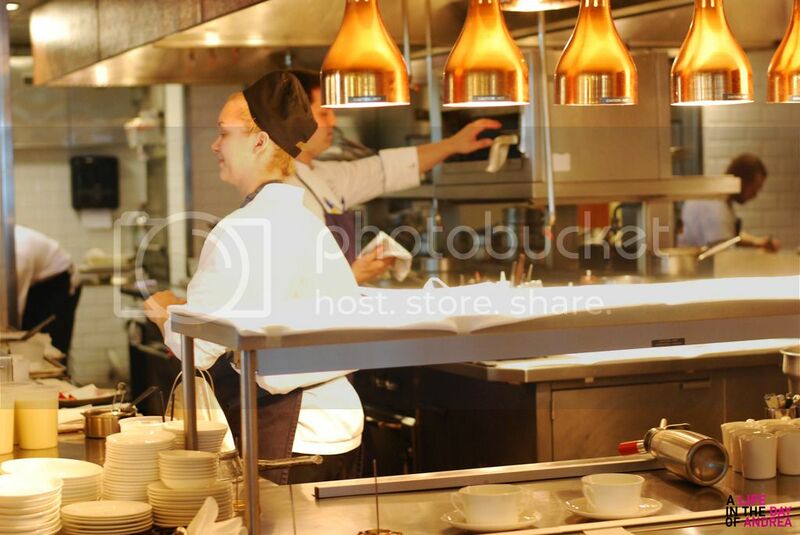 For guests or visitors that crave a unique culinary experience, they offer a Chef’s Counter Experience, which features a prix-fixed menu consisting of eight small plates, lasting approximately three hours. You can choose to add a wine pairing at an additional cost. In addition, every Sunday the restaurant hosts a Sunday Jazz Brunch with live music from musician Greg Piccolo, and a delicious a la carte menu featuring a raw bar, charcuterie, and all your breakfast favorites. The main dining area for Seasons is on the oceanfront, and the view from the window is just astounding. 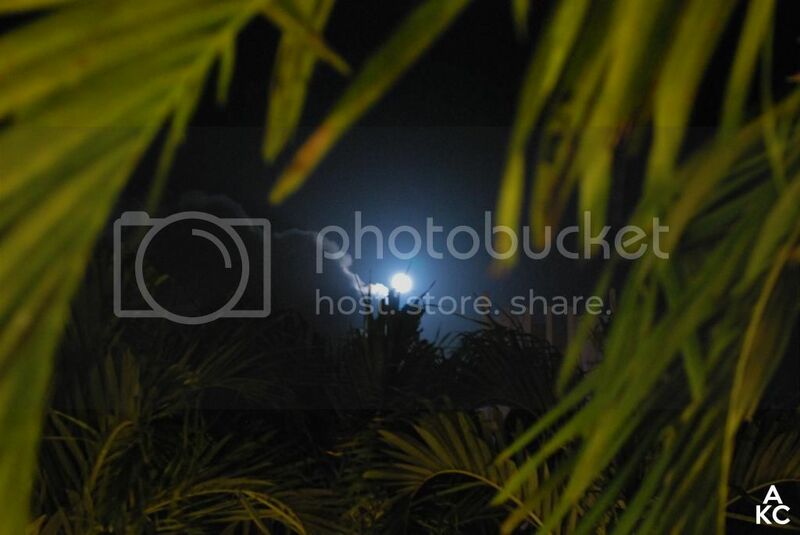 This is an unedited photo, above. The intimate setting is perfect for a birthday or anniversary celebration just for two, or a larger group if you please. How can you have a bad time when this is right outside your window? In the summer months The Verandah Raw Bar is open for service, offering al fresco dining on the south facade of Ocean House overlooking the croquet court (below) with views of the Atlantic Ocean. In addition to various dining spaces, Ocean House guests can partake in classes at the Center for Wine & Culinary Arts in house, as well as have meals cooked by a chef in the privacy of your own room. Leisure and rejuvenation is omnipresent at Ocean House, featuring full service OH! Spa which offers body treatments, skin care, massages, and nail treatments, and the OH! Salon which offers full service hair cutting, styling, and treatments. Fitness and wellness classes by appointment. With room rates starting at about $850 upwards of $10,000 a night for signature suites, Ocean House is definitely a splurge. The thoughtful design, services, and staff are a testament to its history, and willing of the treat. The summer season is finally upon us, and you know what that means; time to plan travel and getaways while the weather is nice. As a Brooklyn girl, I have been spoiled over the years with all the free summer programming NYC has to offer throughout the season, but sometimes, you just need to get away. A getaway does not necessarily have to be a flight or week away, but even a day or two in different scenery right here on the East Coast. Just last week I was invited by the Rhode Island Commerce Corporation for an exclusive day trip for press to explore the attractions in the South County district. Focused on food, shopping, and luxury accommodations, the itinerary was filled with great attractions that were just on time for me as I was in need of a getaway. I was really excited that it was a small group of four bloggers in total, along with our guides Alexa and Jennifer from Havas PR. I took the Amtrak train into Westerly, RI from Penn Station and was greeted by the crew in a black sprinter van. It was there that I met Alexa and Jennifer, as well as fellow bloggers Asha of Fork Spoon Knife, Martha of A Family Feast, and Richard of The Passionate Foodie. 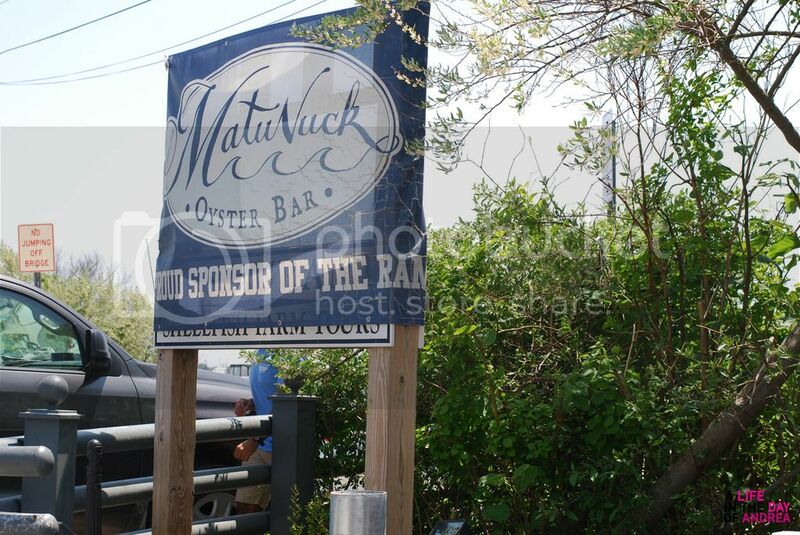 We chatted a bit and were right off to our first destination of the day, Matunuck Oyster Bar. Located in South Kingstown, Matunuck is special as it is not solely an oyster bar & restaurant, but an oyster farm as well. Upon our arrival, we met with Perry Raso, an oyster farmer for decades and owner of the establishment. He took us on a tour of the restaurant and gave us the history of the land and the oyster farming industry as a whole. After our mini-tour of the restaurant’s interior, we headed back outside to Perry’s boat that he takes out on the water to farm and catch oysters. 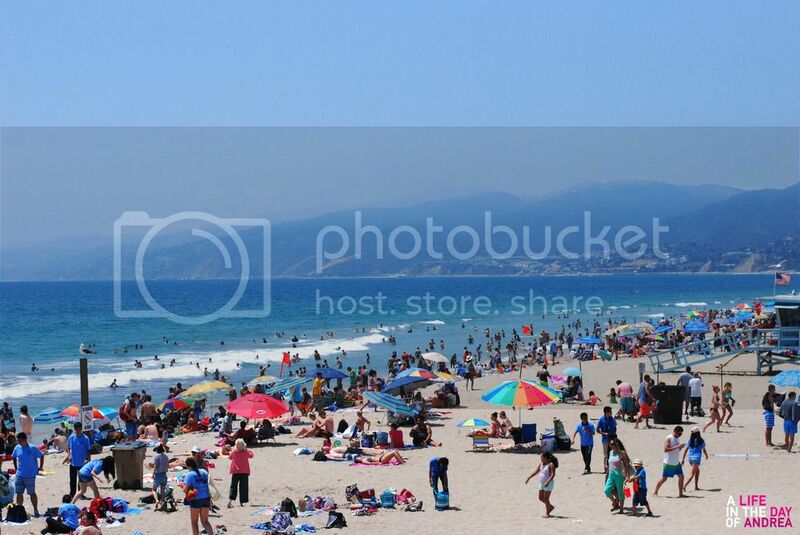 The weather was pristine, sunny and in the low 80s, making the temperature on the water somewhere in the mid to high 70s. We set out and got a firsthand glance of all the different types of oysters that the farm raises, as well as a select few scallops. The water itself was quite shallow, with Perry jumping in every few minutes to show us the different types of oysters, along with the method in which they are raised. 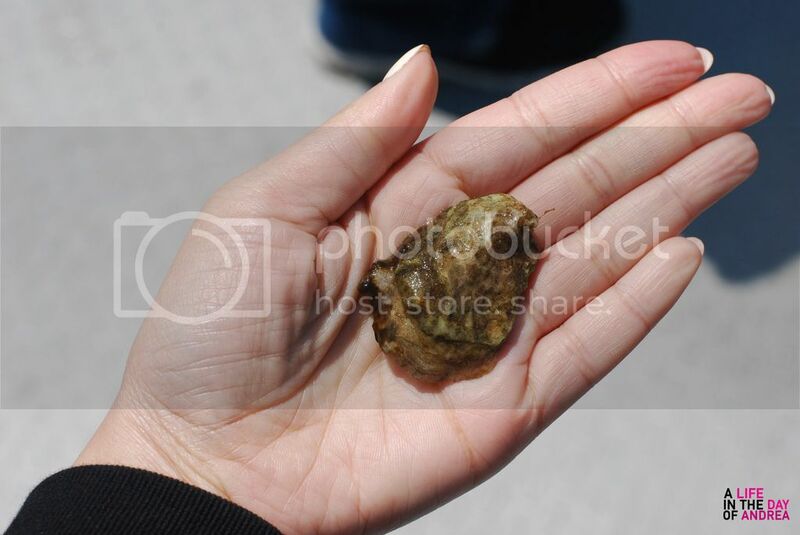 We were able to hold oysters in our hand, which I thought was really cool, before we put them back in the water. 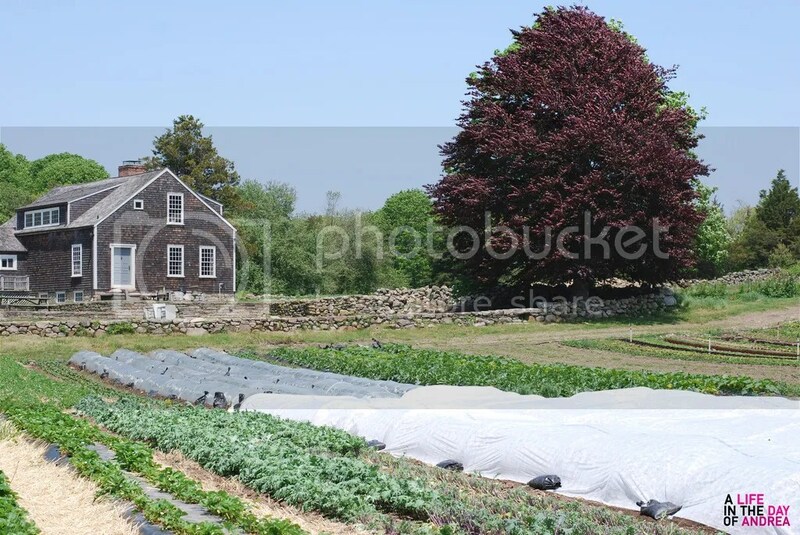 On our tour of the oyster farm, Perry informed us that the grounds had a vegetable farm as well, making Matunuck not only pond to plate, but farm to table as well. We took approximately a ten-minute ride up the pond to the vegetable farm, enduring a few splashes en route to our destination. Once off the boat, we took a short walk up the hill to be greeted with a sprawling green pasture of fresh, organic vegetables. The farm was so serene, and I snapped away to capture the moment. 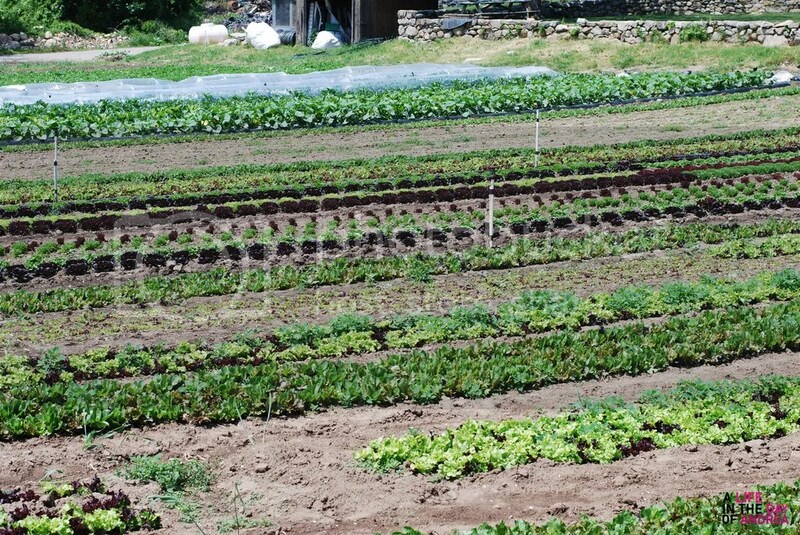 There were rows and rows of greens, including spinach, mustard greens, arugula, lettuce, and edible flowers. Walking around in awe as one day I hope to have my own farm, Perry gave us a sample of a variety of purple asparagus straight from the Earth. I took a bite and was immediately wowed. It was so fresh with a bit of sweetness towards the root, unlike the normally bitter green asparagus. I could have personally ended the tour after the farm, but you know what was up next, LUNCH! We took the boat back to the pier and were seated shortly after our arrival on the outdoor deck for dining al fresco. The restaurant is very popular and had filled up while we were on our tours, on a weekday afternoon at that. Our waitress poured us all glasses of water, and Perry informed us that he would send out a few appetizers for us to try. We started off with the oyster sampler, which included twelve raw local oysters. The freshness was exquisite and the brininess of the salt water was just perfect. 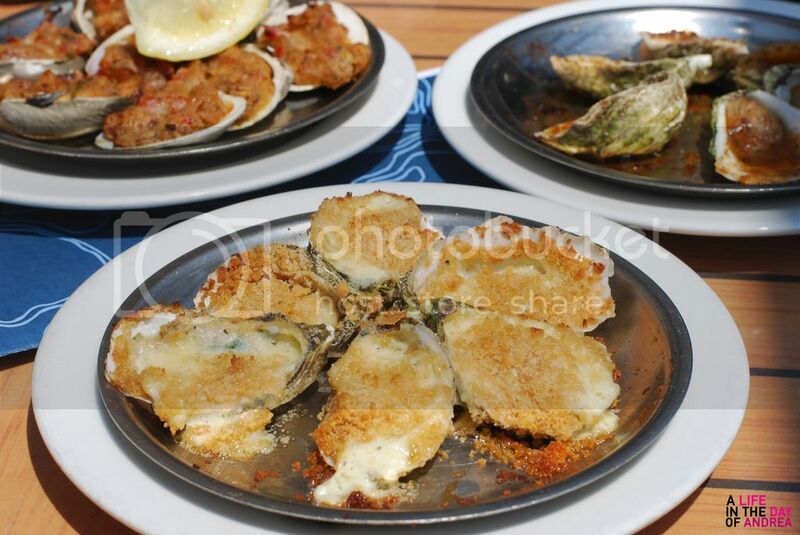 Next up was a trio, including from the left, the Clams Casino (eight littlenecks with a buttery bacon & bread crumb topping), Oysters Rockefeller (six oysters baked with Pernod, spinach, bacon, breadcrumbs & fresh herbs), and Bourbon Oysters (six broiled Matunuck oysters with a Bourbon chipotle sauce). The flavors of all three were quite enjoyable, but the Bourbon oysters were by far my favorite as they were a bit lighter than the others, and had a unique, smoky and sweet aftertaste. A meal is not complete without a good wine. 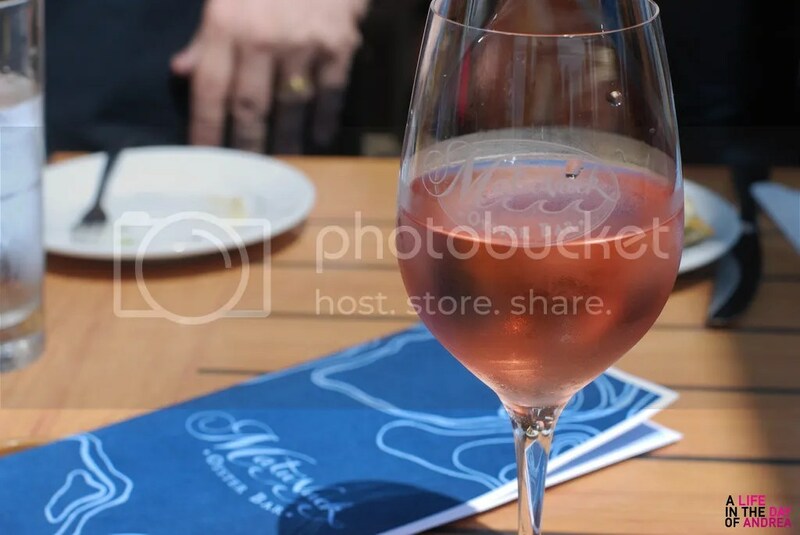 As we were eating mainly seafood, I felt a rosé would pair well with all the offerings. The rosé was a dryer variety, not too sweet, similar to the varieties of Provence, and paired very nicely with my appetizers. Now it was time to place our individual orders. I didn’t want to get too crazy, so I figured an appetizer, salad, and a main would suffice, and would save me from a food coma. 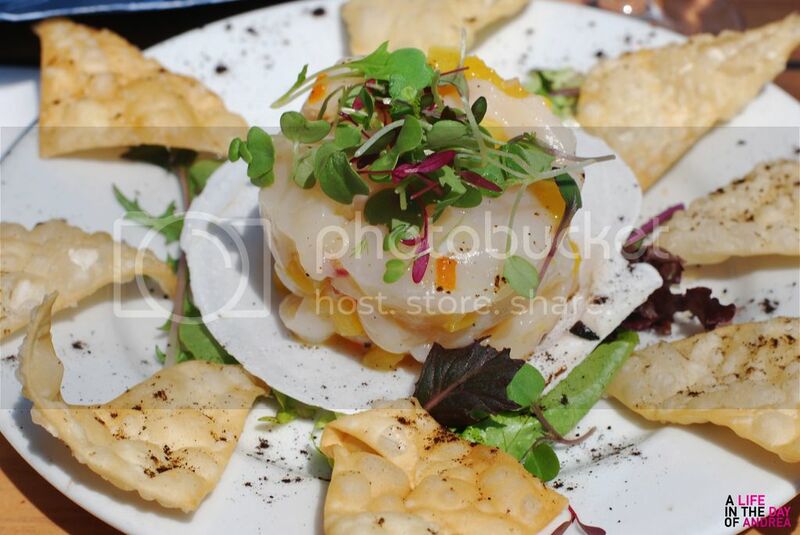 Up first was the Scallop Ceviche. Being Belizean-American, I am a ceviche snob as my family makes shrimp or conch ceviche when it is in season. When I tell you this scallop ceviche was OUT OF BOUNDS, I mean it. A generous portion of scallop was served atop a clam shell, paired with mango salsa that included cilantro, lime, and peppers, and crispy wonton chips. The scallop melted in your mouth as you ate it, and the chips provided a perfect textural mashup. 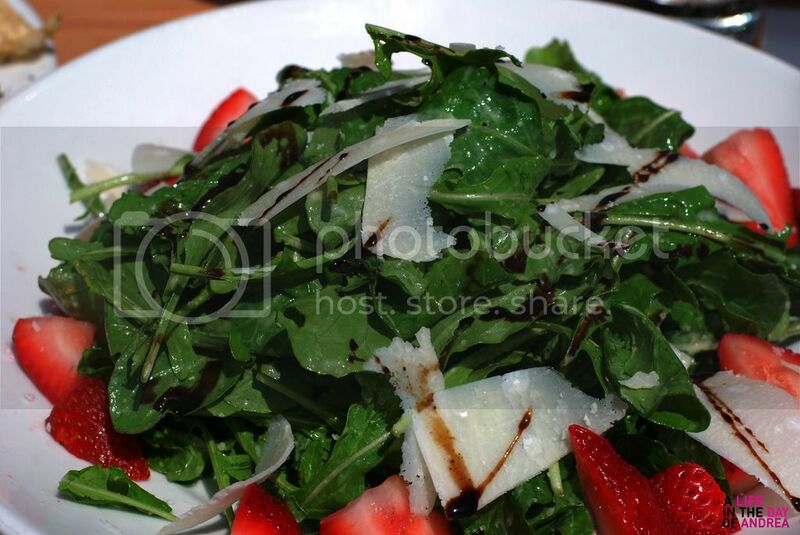 Up next for me was the Arugula Strawberry Salad, comprised of some of my favorite things: Matunuck Farm’s arugula, fresh sliced strawberries, sherry black pepper vinaigrette, balsamic reduction and shaved Parmigiano Reggiano cheese. The flavors were splendid and refreshing. As it was a bit breezy out, some of my Parmigiano flew off my plate. I laughed, and continued eating. I went back and forth deciding on a main because the normal menu and specials menu had so many incredible offerings. 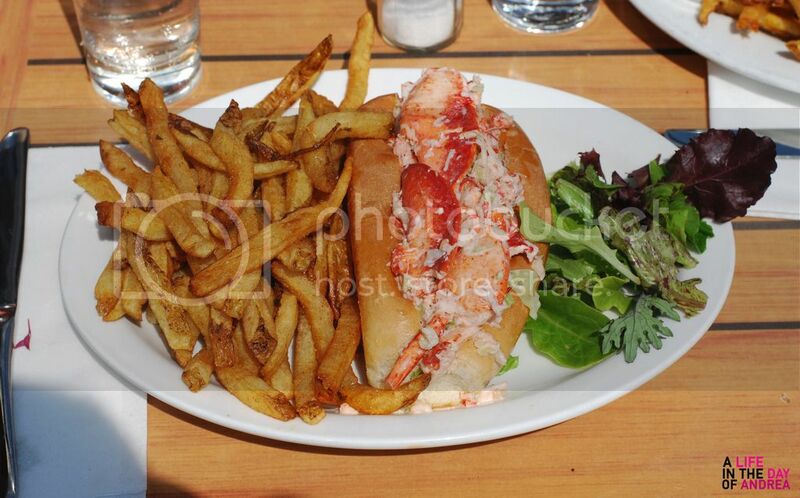 As I was in New England for the day, I decided to keep it local and go for the Lobster Roll. The meal consisted of chilled lobster meat, lightly dressed with mayonnaise and chopped celery on a grilled buttery split top roll. My eyes widened when I was served as the amount of lobster in the roll was astounding. I took a bite and it was like a lobster explosion; chunks falling onto my side salad and hand-cut fries. For my first lobster roll in New England, this was off the chain! The lobster was so fresh, and the accompanying flavors were incredibly light, making the lobster the star of the show. 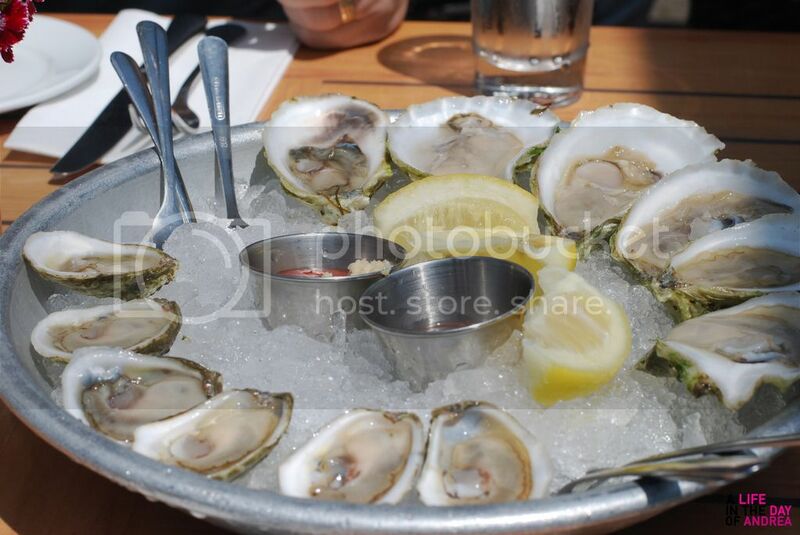 My experience at Matunuck Oyster Bar was just lovely, from Perry and staff, down to every offering on a plate. This will be hard to top! When in Rhode Island, definitely stop by. You won’t regret it! On a bright summer day in late-July, what better way to pass time is there than to take a trip to the beach? During my time in L.A. I had one beach day, albeit dry as I hadn’t prepped my swimwear in advance. With camera in hand, I took a long stroll along Venice and Santa Monica beaches with the family. I was covered in sunscreen as the weather report called for temperatures in the 90s, although it began quite grey and overcast. 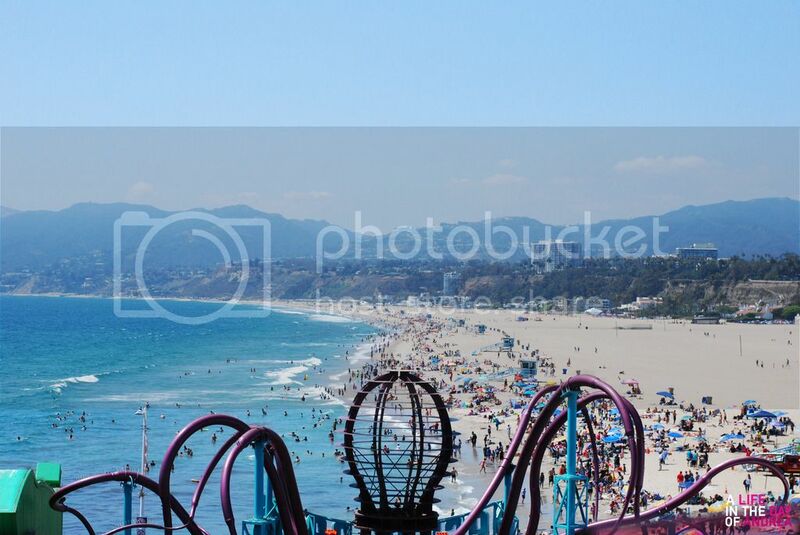 My main goal for the afternoon on the Santa Monica Pier was quite simple; take awesome photos, eat good food, and get on a ride or two at Pacific Park. Within minutes of arriving on the boardwalk, I spotted the Japadog truck. 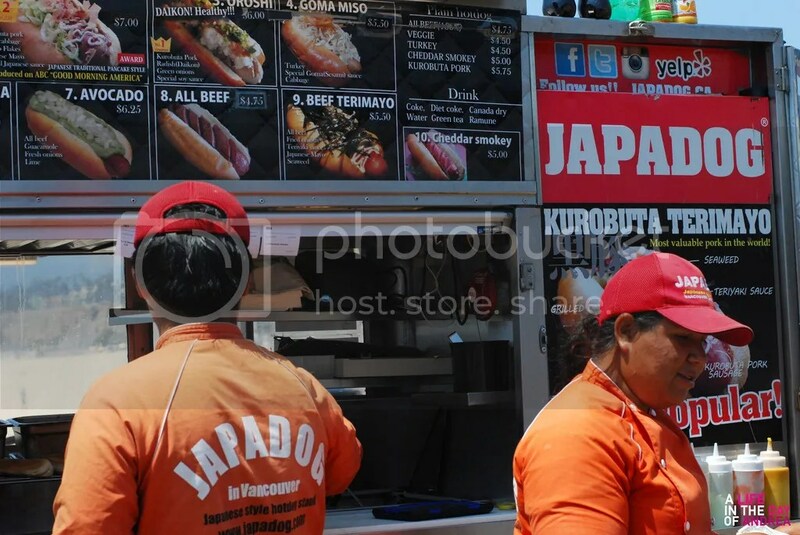 I had first discovered the Montreal-based, Japanese-style hot dog truck while watching A Brit And A Broad on Tastemade TV. I enjoyed the idea of Japanese fusion hot dogs, so I HAD to try one out. The set-up is pretty simple. You can order one of the nine (up to fifteen depending on the location) specialty dogs listed on the menu for ease of mind, or you can create your own. 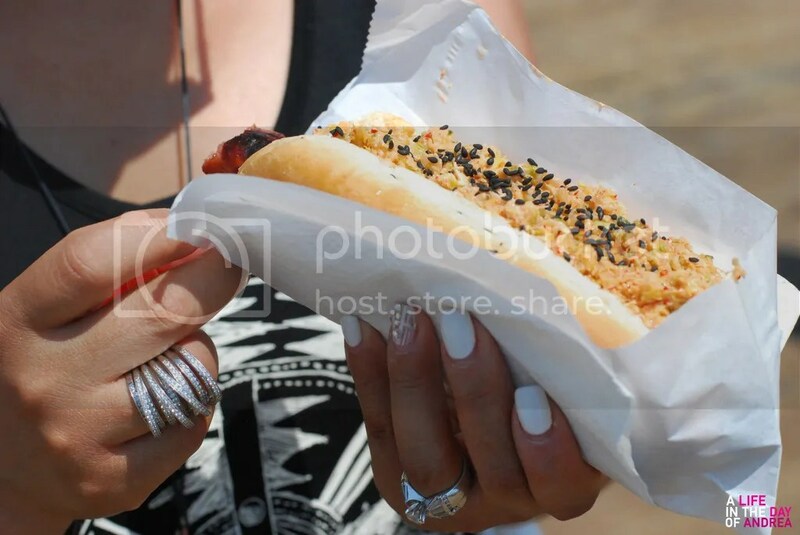 There is something for everyone here as the dogs are offered in All Beef, Bratwurst, Turkey Smoky, Three Cheese Smoky, Arabiki, Kurobuta Pork, and Veggie flavors! My aunt ordered the Kurogoma Kimuchi option with a Beef dog, and I got the Okonomi with a Kurobuta Pork dog. It took a little less than ten minutes to get our orders which was awesome considering how crowded the pier was that afternoon. Upon biting into my Japadog, I was immediately taken to FLAVORTOWN; word to Guy Fieri. The combination of the sweet pork dog, mayo and fish flakes was quite divine! Needless to say, I finished my food in maybe seven minutes, and my tastebuds were satisfied. We took a left from FLAVORTOWN into Pacific Park to check out the carnival games and rides. As I was with my aunt and 6-year old cousin, I knew there would be a few things to check out here, but I was set on the ferris wheel. I don’t know why I have such a love for ferris wheels, but I make sure to ride them wherever I go. Camera still in hand, my goal was to enjoy and capture the views of the beautiful blue Pacific waters on my ride, and boy did I! The Pacific Wheel is 85 feet tall and while in motion, reaches heights of over 130 feet that overlook the Southern California coastline. 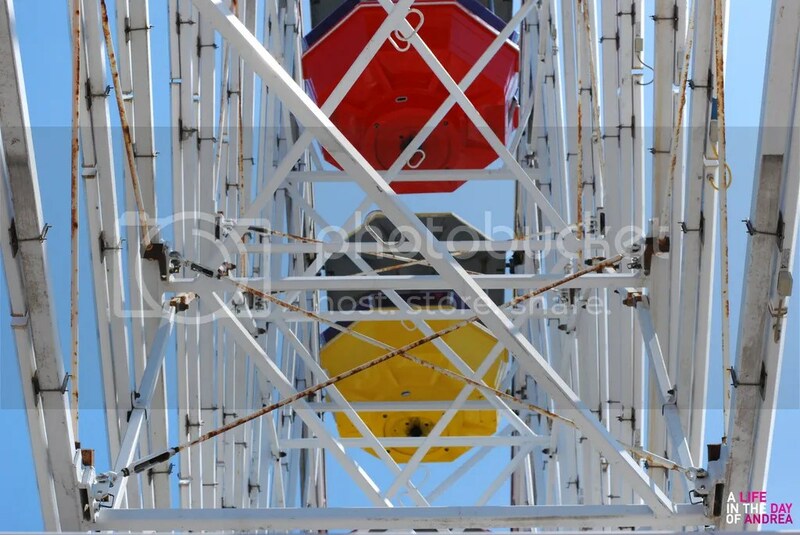 I was able to get awesome shots as the wheel moves at 2.5 revolutions per minute, ensuring that all patrons are able to soak up the gorgeous views. Being so high up in the sky made up for not taking a dip in the ocean that afternoon. I was really able to relax and really appreciate the beauty of Southern California one revolution at a time. 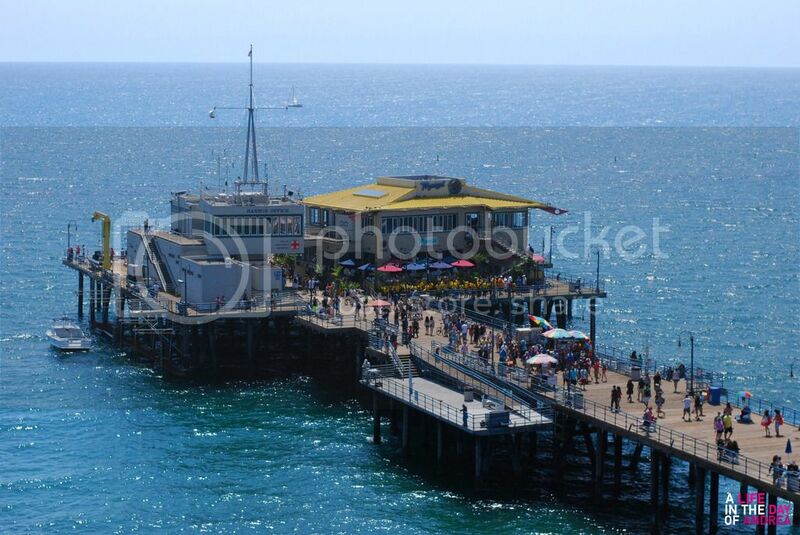 If you are in the Santa Monica area, I would definitely recommend heading to the pier. 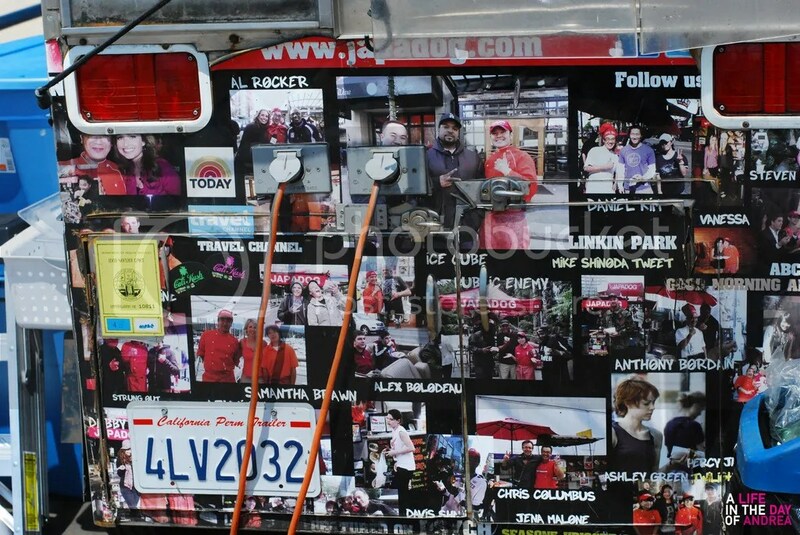 Aside from Japadog and other mobile vendors, there are a variety of sit-down restaurants for adults and family, as well as entertainment. For the week of my birthday back in the end of July, I took a trip to the Los Angeles area to spend time with family, recharge, and basically get a taste of new scenery. For the majority of my twenty-eight prior years, I have always spent my birthday at home in Brooklyn, and felt this was a good time to hit up the West Coast. 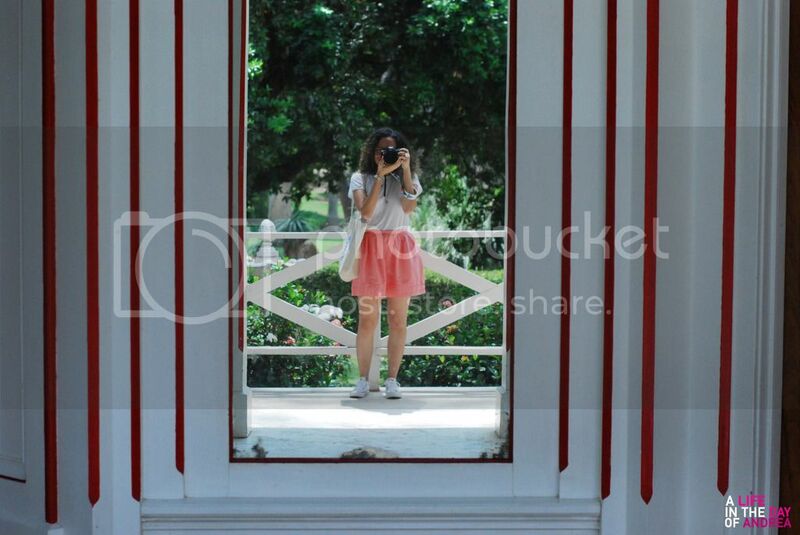 It was one of the few times in life where my trip was completely unplanned. I did plan in accordance with one of my aunts so we could be each other’s company for the week, but otherwise, I told myself “I just want to relax and not over-plan this time away”. As I was staying in Diamond Bar with my aunt and uncle, I did not really get a taste for the creative L.A. lifestyle, but I was exposed to something better; nature. My uncle, being pretty in tune with my love of photography and nature, offered to take the family The Arboretum during the week. 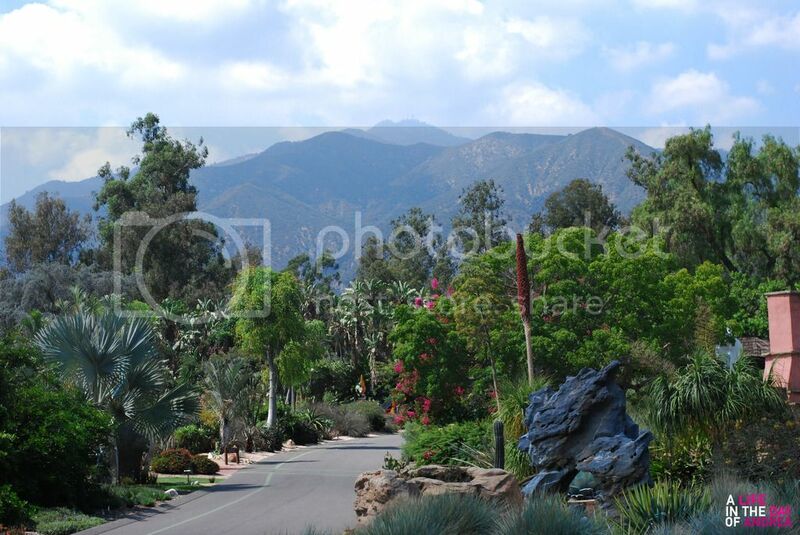 Located in Arcadia approximately thirty minutes from where I was staying, the Los Angeles County Arboretum & Botanic Garden is a gem for nature lovers and those that just need a time out. 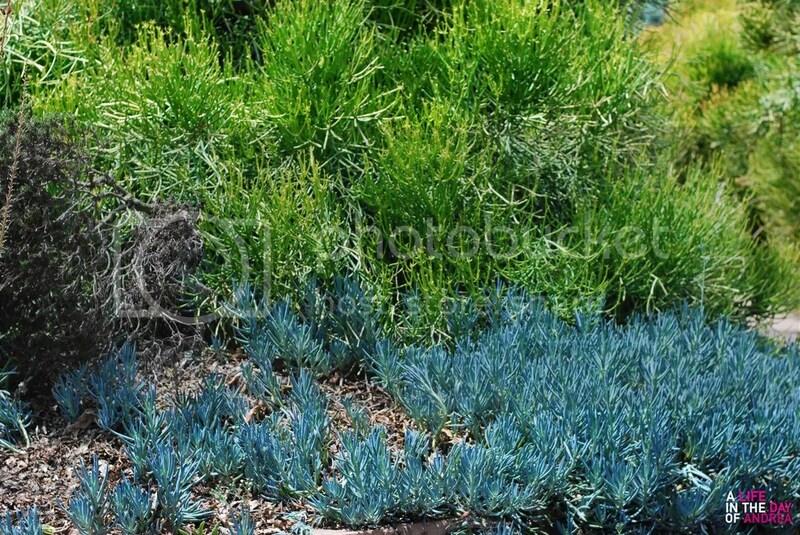 The Arboretum is a 127-acre botanical garden and historical site jointly operated by the Los Angeles Arboretum Foundation and the Los Angeles County Department of Parks and Recreation. With camera in hand like the tourist I was, I walked slowly and snapped photos of the luscious flora and fauna before my eyes. 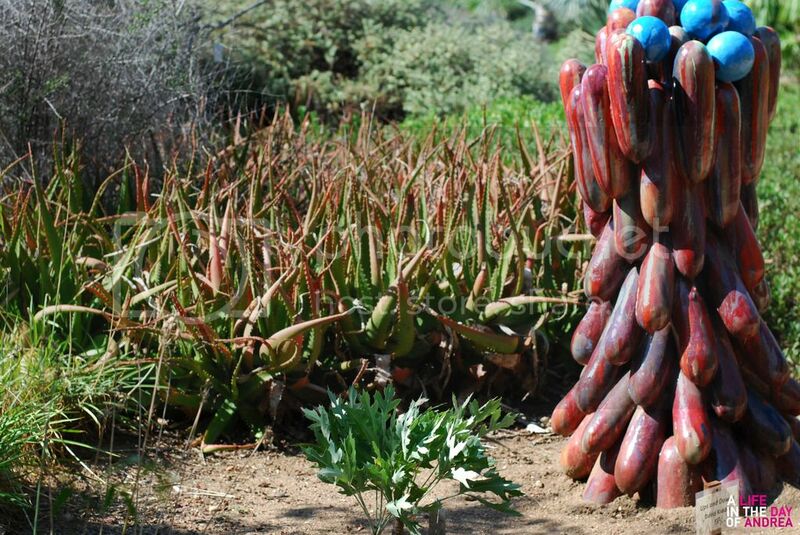 The grounds are divided up by native region with free roaming wildlife; for example there are sections that feature collections of plants from Africa and Australia, as well as themed sections like the “Prehistoric Forest” and “Historic Circle”. Every plant on the grounds was clearly marked with a description tag for those that wanted a little more back story. As someone who is incredibly passionate about color, I was truly amazed by the color variations of some of the plants and flowers I saw during my walk. The greenest of green leaves, the most potent orange flower petals, and things I had never seen before, like a Eucalyptus tree that had a multi-color bark. I snapped away, adjusting my settings numerous times during my trip as the sun was beaming that day. It made me realize how therapeutic a walk outside can be, and how beautiful nature untouched is. We took a break to eat at the Peacock Cafe, and took seats at a table under a shady tree on the deck. I had a surprisingly tasty cheese burger & fries with an apple juice because, #stayhungry. 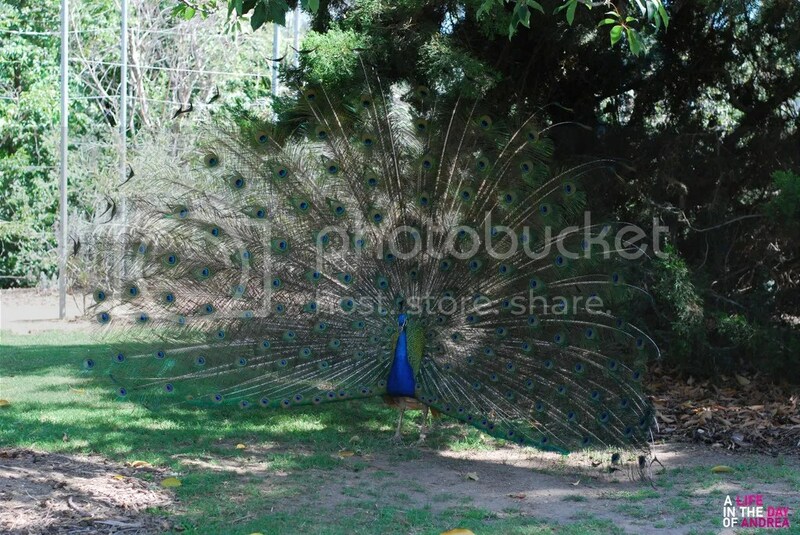 When we looked up and around, we were surrounded by peacocks. I made it my job to collect as many feathers that fell off the birds as they moved around, and snapped photos quick and quietly, as to not disturb them. I was waiting for one of the birds to spread their feathers for a photo opp, and was extremely lucky to capture the photo above upon walking to the exit. Such a serendipitous ending to a lovely afternoon. 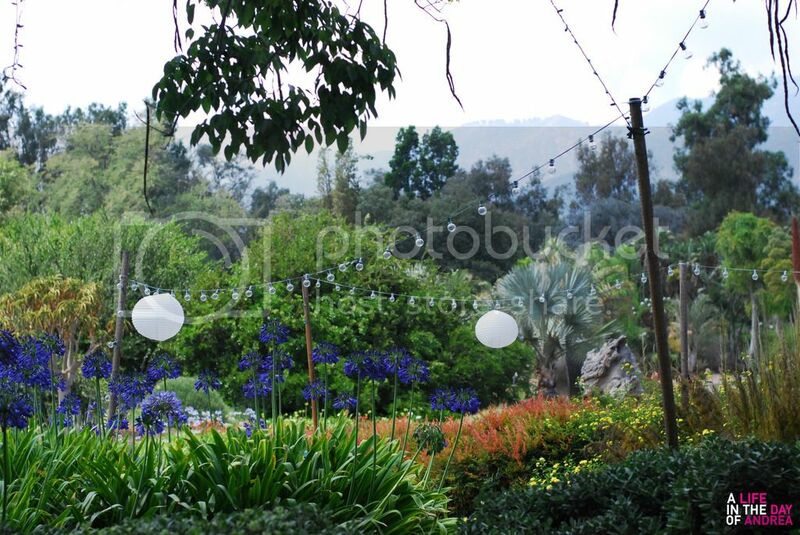 If you are ever in the L.A. county area and want to take a break from the hustle and bustle, definitely take a trip to The Arboretum. Admission is $9 for adults, $6 for Seniors & Students, $4 for Children, and Free for children 4 and under. For more information, please visit their website. You won’t regret it! If you are a wanderlust and will be in New York City the end half of this month, you MUST put The New York Times Travel Show on your to-do list! 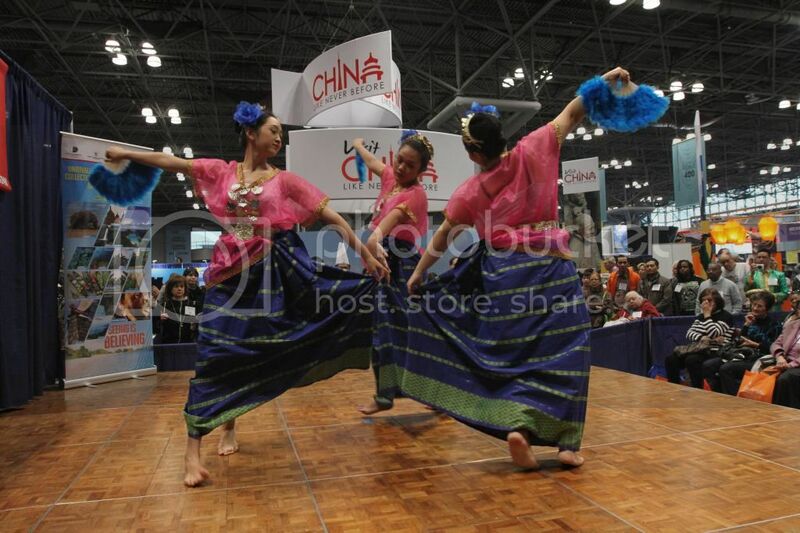 Held on Friday, January 23 – Sunday, January 25 at the Jacob Javits Convention center. 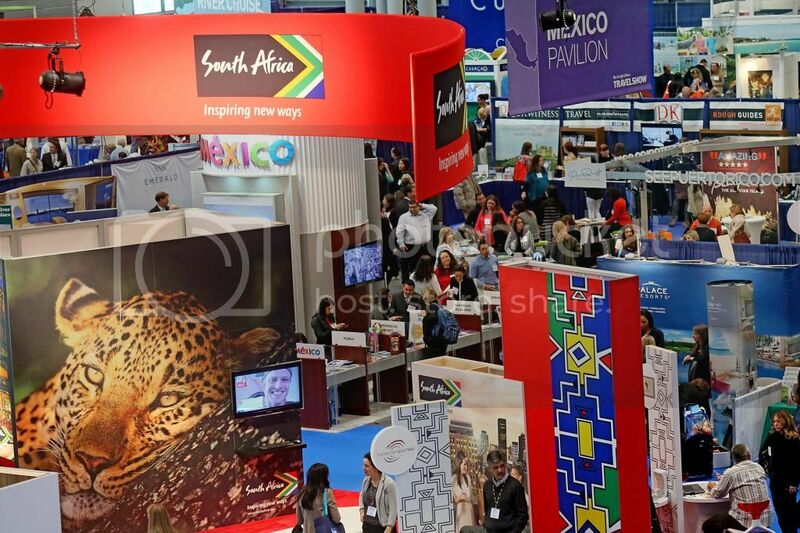 The show is the premiere destination for travel industry professionals, journalists, and enthusiasts alike. Day one (Jan 23rd) serves as a Travel Industry Conference, with a full day of programming including seminars featuring representatives from various nations and experts, a keynote and lunch, and the opportunity to get a preview of the entire show before it opens to the public on Friday, January 24th. Tickets are $35 in advance/ $45 the day of show and may be purchased here. If you are a foodie, definitely swing by the “Taste of the World” culinary showcases which features seminars from different food impresarios with demonstrations! 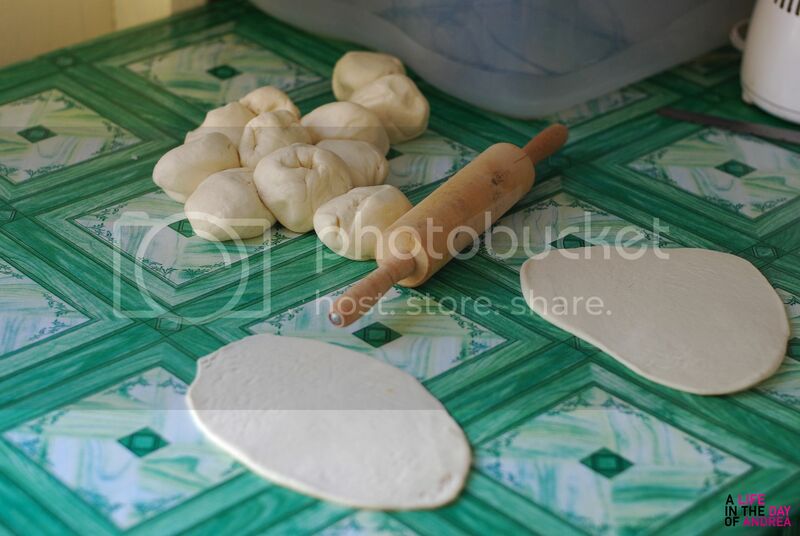 If you are bringing the little ones along, there is also a “Taste of the World: Kids Kitchen” for them to explore. Consumer tickets are $17 and valid for one-day only. You may view more information about ticketing here. Hope to see you there! 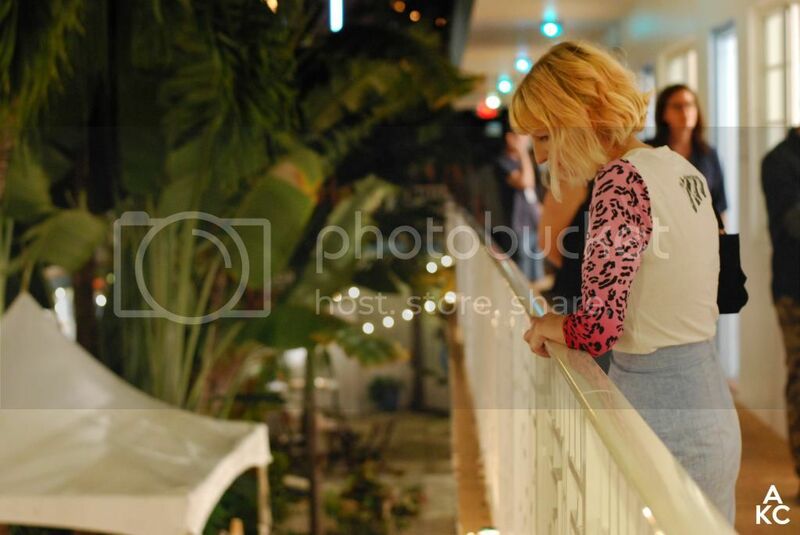 #ALifeInTheDayInMiami: Art + Beats at Sound.WAV at Aqua Art Miami Feat. Olivia Dope, MeLo-X y Mas! In the first week of December of 2014, I was fortunate to head out to Miami for Miami Art Week with my colleagues at Audiophile PLUS. 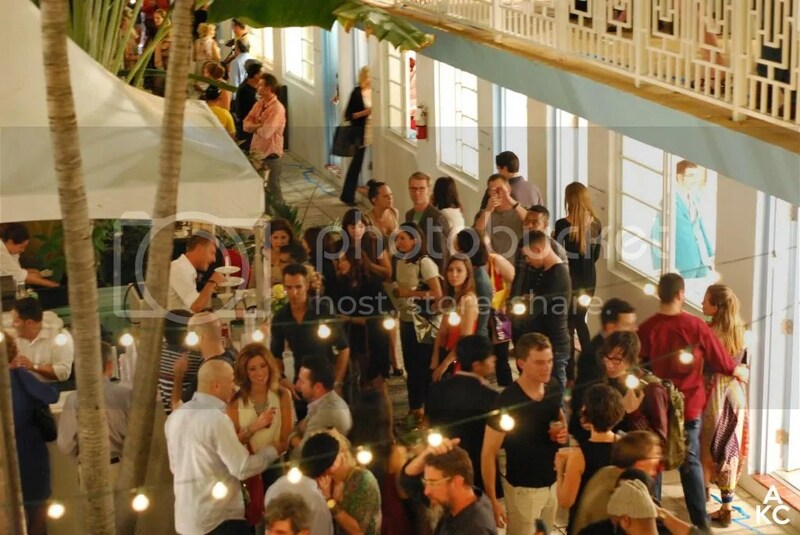 As a company, we curate music for art shows, Aqua Art Miami being our largest client to date. 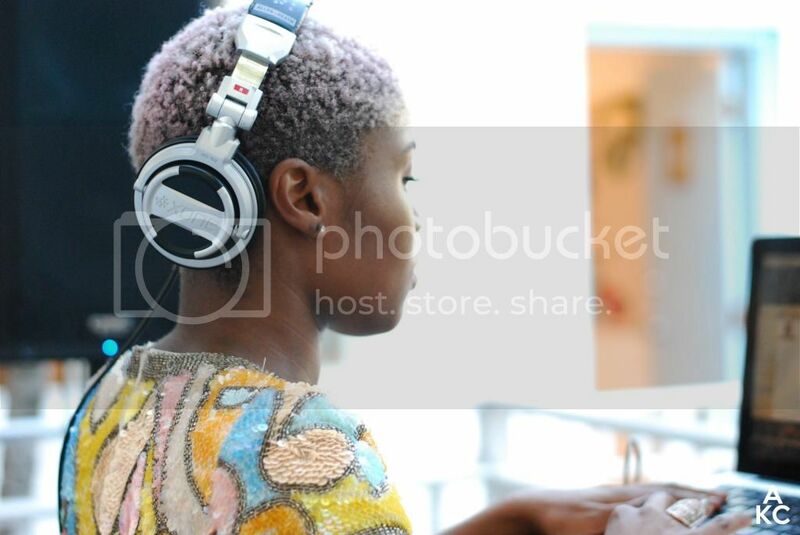 For this season, our musical soundscape was entitled Sound.WAV Miami, and the event was held in conjunction with B’LEVE BROWN Media, and The Life Files. We were on set at the fair December 3-7, providing curated playlists for each day of the fair with special DJ sets in the evening. The weather was absolutely gorgeous, giving the freezing temperatures that were occurring back home in New York City. We did have some spouts of rain during the evening, but the bright full moon let this slight downfall slide. Our final day, which was a Sunday, was the most relaxed and included the most variety of music. Our first DJ of the afternoon was Isis Swaby, both a visual artist & DJ/producer whose soundscape is full of down-tempo and funky jams. You can check out her full set below. 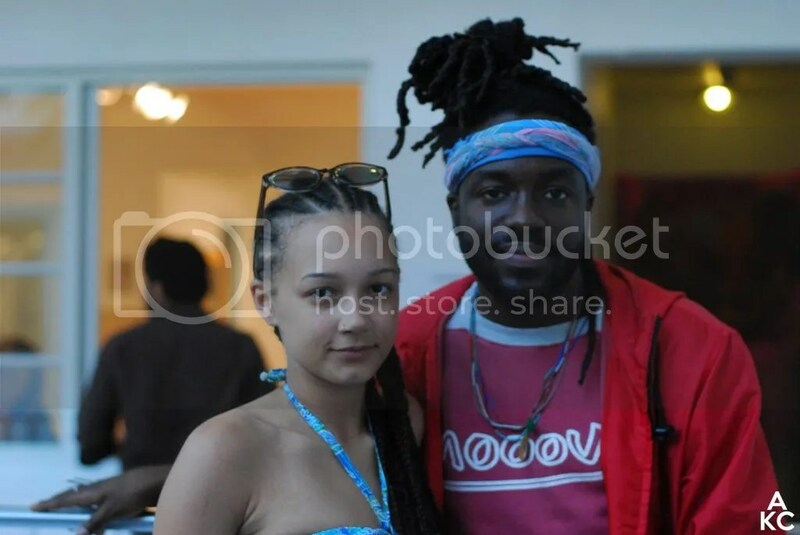 My buddy and former SoundVision Miami act MeLo-X came out on the same afternoon to support with his girlfriend, visual artist & model Corey Washington. This was a particularly fun moment for me as I was able to unwind, dance, and act silly with my friends while Olivia Dope spun. My gyal Olivia Dope was the headliner DJ on our final day, and I couldn’t have asked for a better way to end out our musical run! She picked up where my monster Spotify playlist ended, which was in intense reggae vibes. She kept the vibes going with throwback Shabba and Maxi Priest, which transitioned into house music, which transitioned to us looking like a girl group dancing in perfect time to her jams. Visiting Belize for me is a time for many things; a time to relax and unwind, a time to spend with family, but most of all, a time to uncover my roots, and the history of the country. For the past few years now, I have made it my duty to visit various museums, reserves, and archaeological sites in my trips to Belize, to learn more about the country’s rich, multicultural history. As the country is situated in what was once the center of the “Mundo Maya” (Mayan World), visiting various Mayan ruins is always a part of my journey. 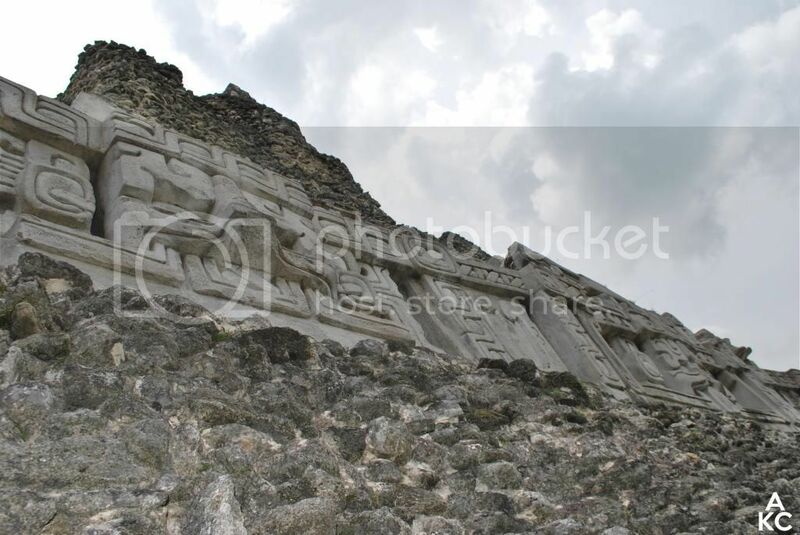 On this trip we visited the extremely popular, Xunantunich. 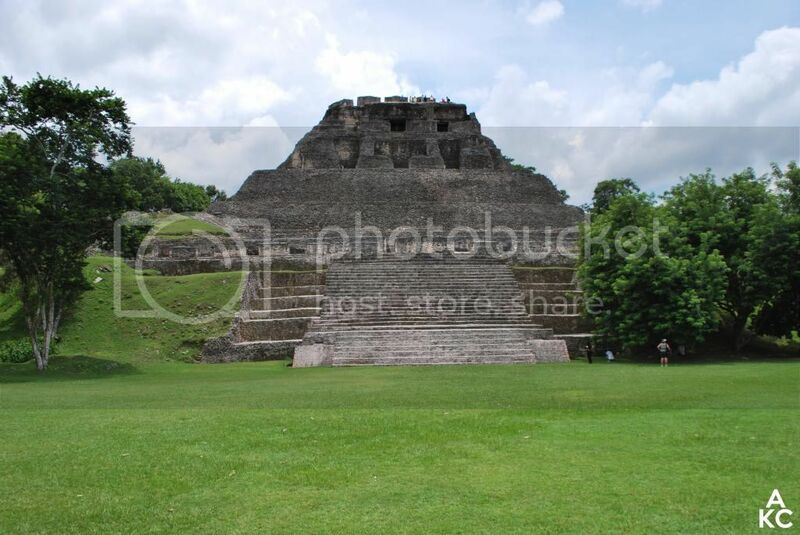 Xunantunich has always been on the top of my list of Mayan ruins to visit for many reasons. I had learned at a young age that the site has one of the tallest structures in the country, and that that structure happened to be called “El Castillo”. For me it felt like a duty of all Castillos everywhere to visit, climb to the top, and take in the glory of such a feat. And that I did. El Castillo stands at 130 feet tall making it the second largest structure in Belize, after the structure at the ruins in Caracol. The structure is the center of the Xunantunich (Stone Lady) grounds, and is believed to be the edifice in which the kings lived. For this trek we had a lovely guide, of Mayan descent, who really gave us a full history lesson on Xunantunich, the rise and fall of the Mayan empire, and how that all equates to the current state of Belize. 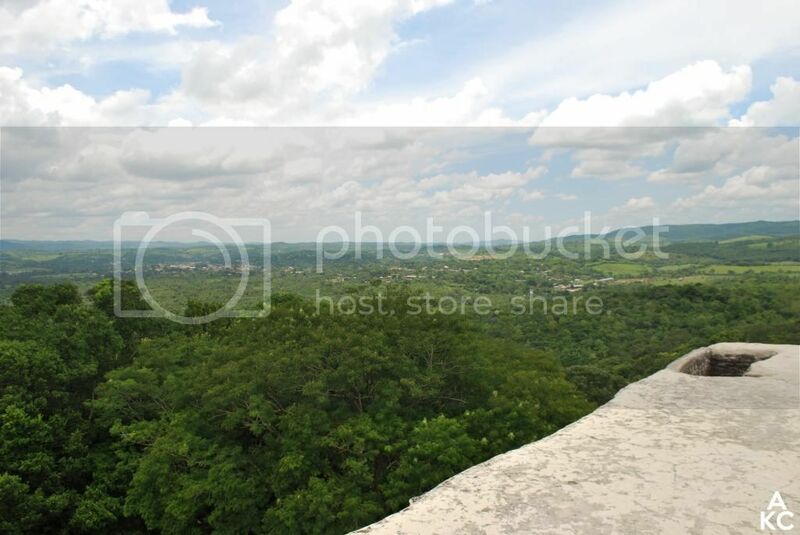 Our journey was simple; climb to the top of El Castillo, and learn more about it along the way. As I have climbed the ruins at Altun Ha and Lamanai in the past, I was not scared to embark upon El Castillo, but there was a significant height difference. Given the fact that this trek was years in the making for me, I did not let my nerves get the best of me, and pushed forward. The photo above shows the view looking up during our hike to the top. The stone steps leading to the temple’s zenith were steep and uneven, but sturdy nonetheless. As the space around me lessened, I will say that anxiety set in, but I wouldn’t let it hold me back from getting to the top. I took a quick break on the level below the top as I was sweating at this point, then made my way up the narrow stairs to the top. What I was greeted with is what you see in the photo above; awe-inspiring greenery in an area of the country that is almost untouched. The site is less than a mile away from the Guatemalan border in the West, and you could literally see the country from standing on the top. I felt such satisfaction to have made it that far, like I was coming closer to finding some lost treasure. Maybe that will be in the next chapter of my travels? I took tons of photos, and had my brother take a few of me, which I decided not to include as I looked a bit tired and sweaty. I know, I know, I should have just included them, but I’m a little self-conscious, you know? I stayed at the top for about ten minutes, and I knew it was time to go down when this little thing called anxiety kicked in. For whatever reason, it was more difficult for me to walk down than up, as I imagined myself tumbling on one of the stones, and having a terrible accident. This, thankfully, did not happen, and I was able to take more photos, like the one above showcasing the detail of one of the friezes, depicting life of the ancient Maya. 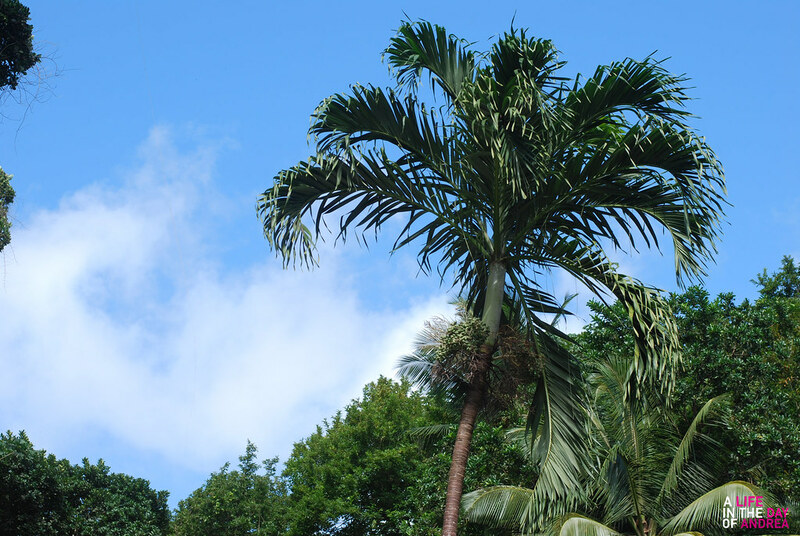 When we were back on the ground, we took time to walk through the plaza, learn about the native trees and how the Maya used them in ancient times, as well as learn about their leisure activities. 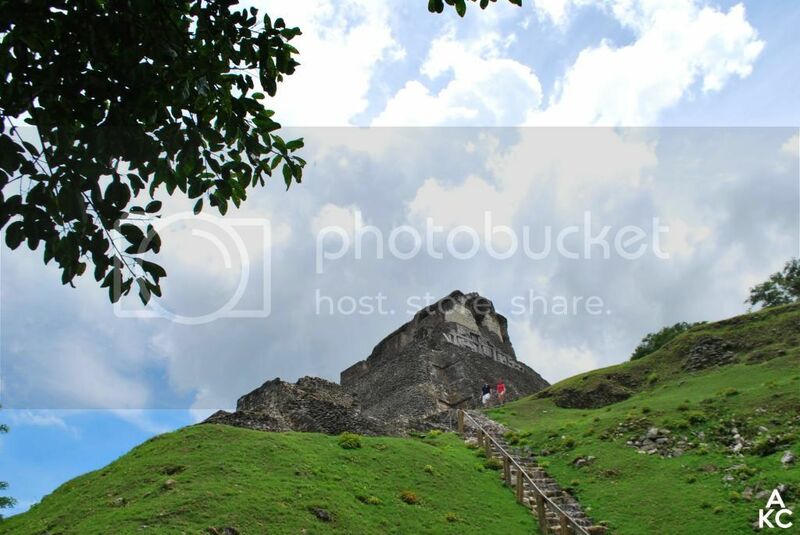 Exploring Xunantunich was by far one of the high points of my Belize trip. I feel satisfied that I made it, and am forever thankful to our tour guide. But wait, the Belize stops don’t stop there. 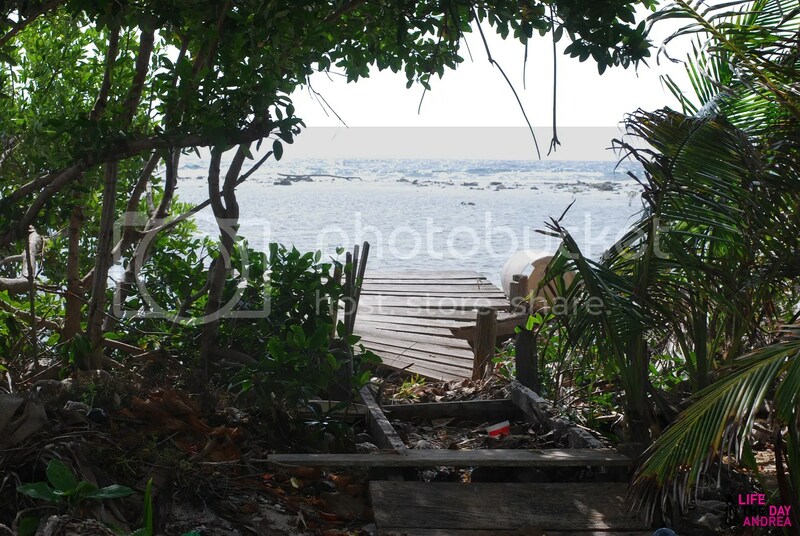 Look out for more adventures in #ALifeInTheDayInBelize! In my previous post on Caye Caulker in my #ALifeInTheDayInBelize series, I discussed the stillness of the island, and how much I believe it is a great place to unwind and reflect. 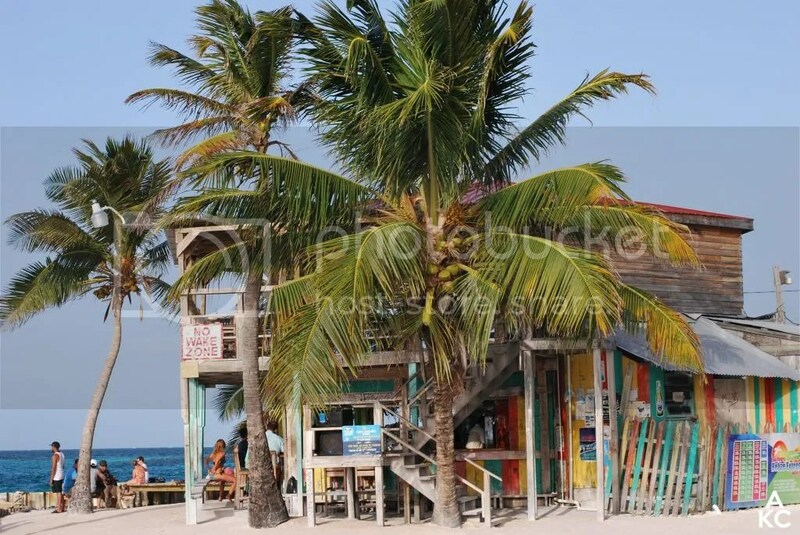 In addition to its stillness, Caye Caulker is a wonderful place to enjoy a true Belizean culinary experience. I’ve been spoiled growing up with the food of the women in my family, who put their all into Belizean cooking, never skipping a beat. Whenever I return, aside from the beautiful sites, I am very much focused on finding great food that is reminiscent of my family, if not better. 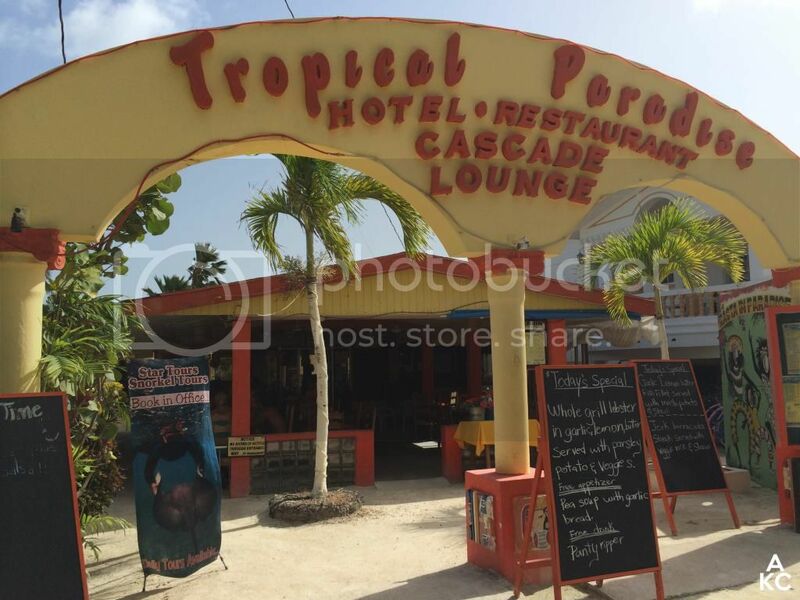 Tropical Paradise is a hotel and restaurant that rings true to this. I’ve visited Tropical Paradise a few times in my years, but on this occasion I was truly set on good meals. Whenever you are out at caye, it is always suggested that you eat some lobster, and the restaurants in Caye Caulker have been making a breakfast of Lobster Scrambled Eggs with Fried Jacks for years now, the offering at Tropical Paradise being the most popular. I ordered this breakfast my first morning at caye, and it was everything that I had expected. The lobster was fresh and sweet within the eggs, so minimal seasoning was added. The fried jacks, which in short are triangular pieces of fried bread, was the perfect density and flavor that I had expected. I finished my meal off with a fresh lime juice to keep it light, to truly savor in all the flavors I had consumed. My belly was full and happy. 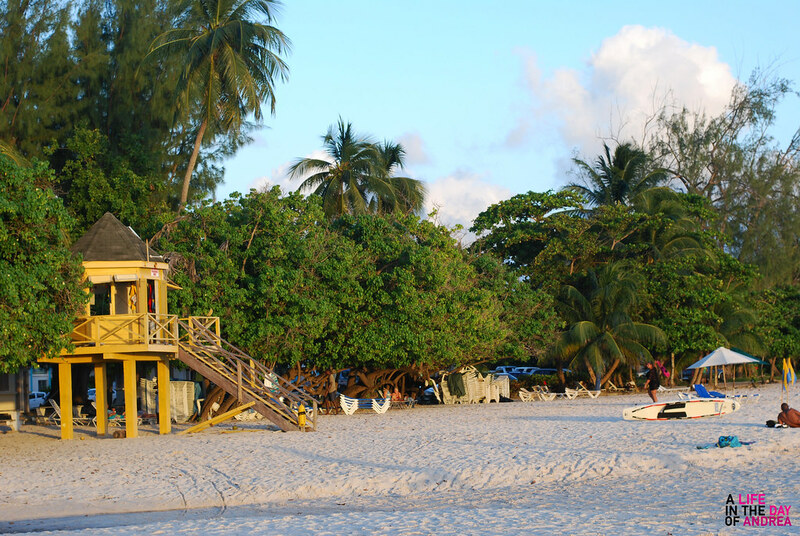 At The Point of the island, there is a lovely beach bar called Lazy Lizard which is popular both with locals and visitors. The open air space takes up the end of the island with a two-story palapa bar and two piers in which guests can lay out and chill throughout the day. I visited with a few family members, and we were lucky to get a little table by the water. We ordered buckets of the local beer, Belikin and Lighthouse, which offer six bottles for $20-$25, which is a pretty consistent figure throughout the country. I myself ordered Rum Punch, as I am not much of a beer drinker, and was pleasantly surprised that their main ingredient was watermelon juice. Not to worry, the punch still packed a kick, which I am all for. In between drinks and stories, I made it my job to take a little swim in the water. Caye Caulker has great swimming grounds, but do be warned that the areas to swim near The Point are quite rocky, so keep your eyes open! The water is also quite salty, so I would recommend you bring goggles if you visit. 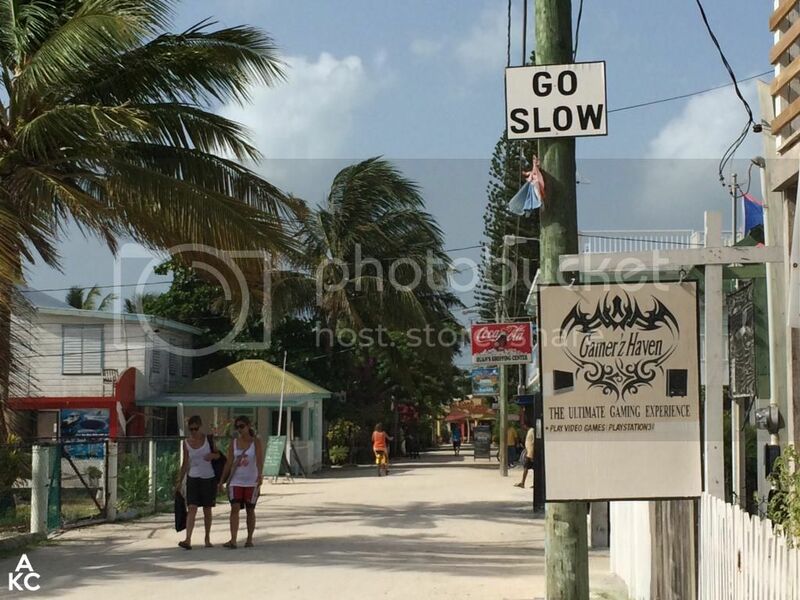 I would definitely recommend Caye Caulker to those that love an authentic experience with a small town vibe. 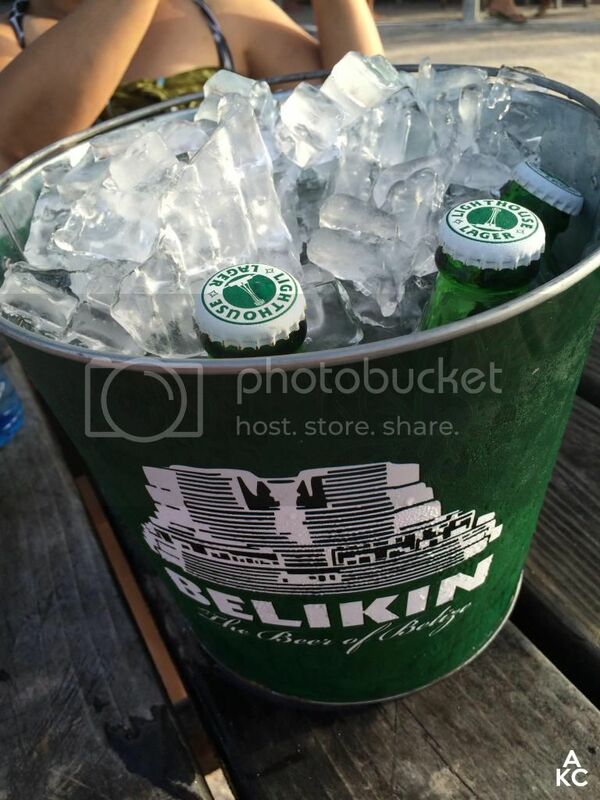 With great food, drinks, and friendly locals, it is an awesome place to experience Belize in a relaxed setting. If the purpose of a vacation is to unwind, reflect, and take in your surroundings, Caye Caulker is the perfect place to do so. Located approximately one hour north of Belize City, Caye Caulker is a friendly destination that is both developed yet untouched simultaneously. The center of the island, where all boats dock, is full of guest houses and restaurants for visitors (which I will touch upon in my next post), and the southern part of the island is a bit more rustic, covered in mangrove and trees with land that has not yet been developed. During my trip, we were able to explore this section of the island, as it was there that housed the new cemetery. Although trips to cemeteries are often somber, I’ve grown to appreciate their beauty as I grow older. 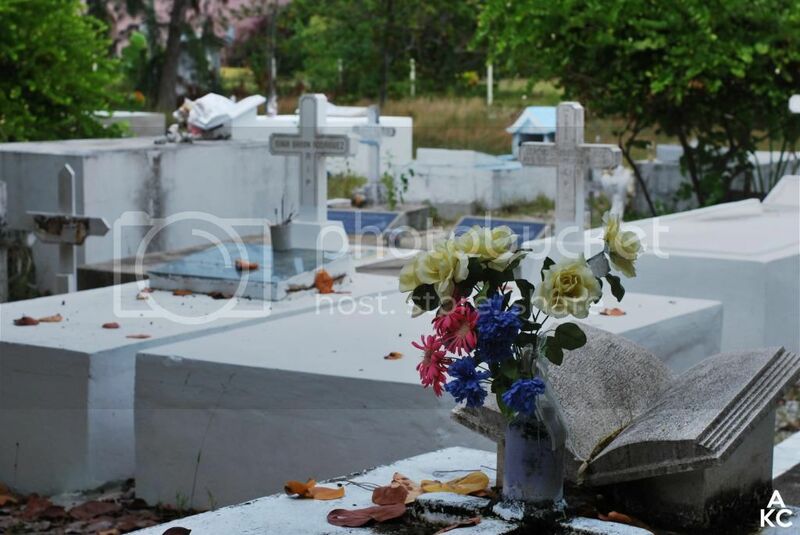 We visited this site in particular to pay our respects at the grave of a loved one of one of our cousins, who had passed just before we arrived in Belize. He had lived a full life, so the feeling was more of peace than of sadness. Stories and meals were shared, and it was evident that his spirit will continue to live on in the island. We stayed at the guest house that he built, Morgan’s Inn, one of the few places to lodge that really encompass the Caye Caulker experience. 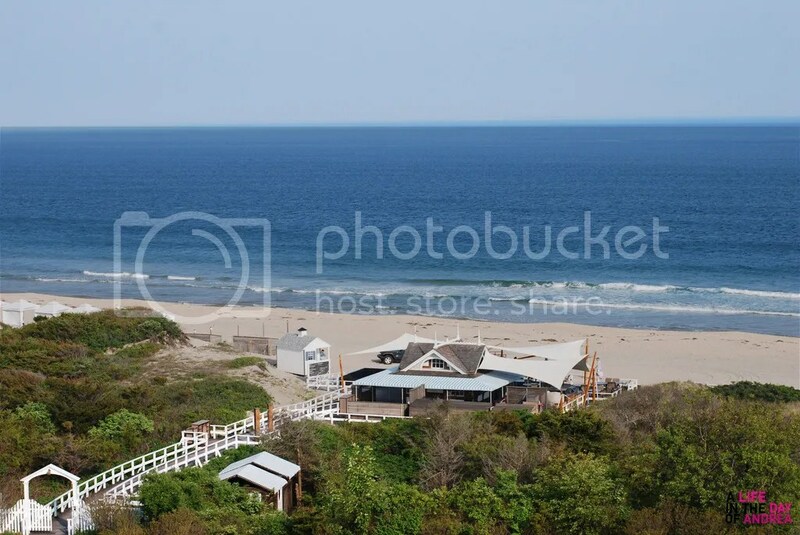 There are four guest houses in total, built of wood with sleeping quarters, bathroom, and kitchen, with nice verandas to catch the sea breeze. It was nice to stay there because I really felt like I was away, considering that there was no television or internet, I was truly able to immerse myself in the beauty and simplicity of the island. I see beauty in so many things, but I was particularly drawn to the flowers. 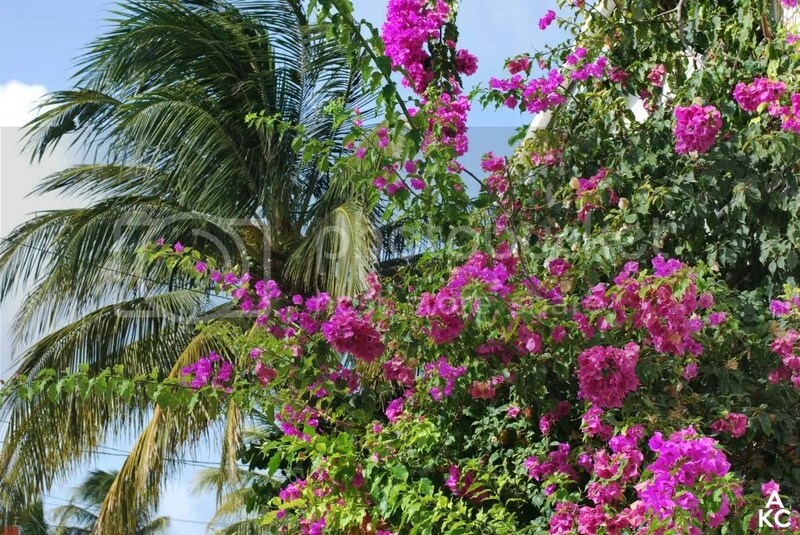 Bouganvillea is a flower native to Belize that grows in a bush. It comes in a variety of colors, more so in the red and pink variety. This fuchsia-colored bougainvillea bush really awoken my senses. 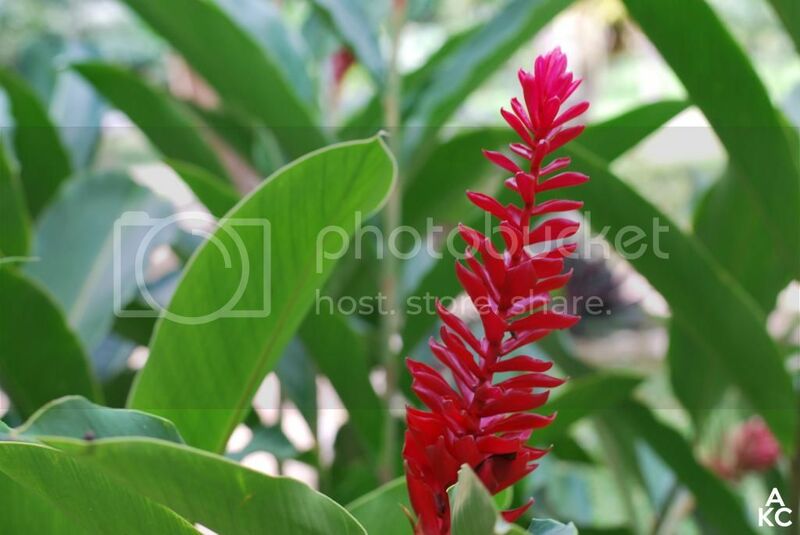 The color was so vibrant, and the leaves were so lush! I know this is all so simple, but these things that may seem so minuscule are really what keep me going. These are the things I love to capture and share with you all, because you never know how much a simple photograph, or set of words can inspire another person. I will let off here, for there is so much more to share about Belize. Stay tuned!